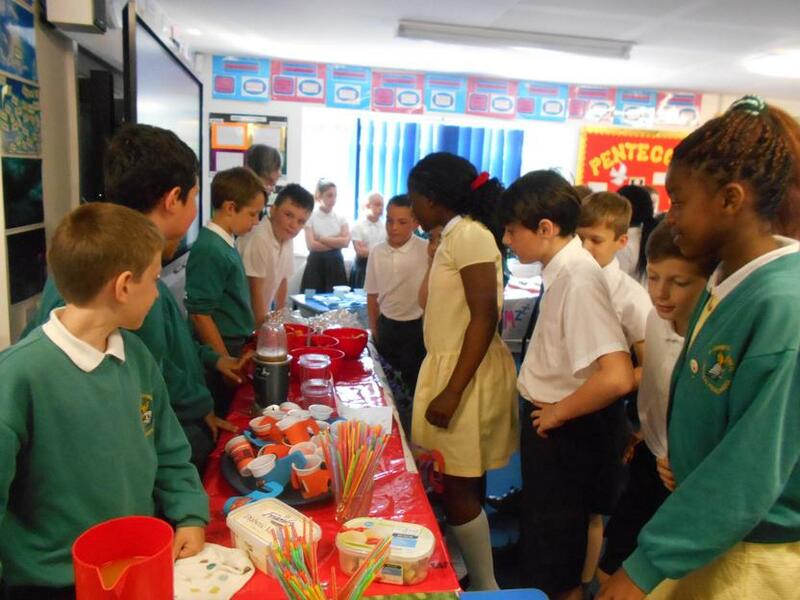 The day started with a mini lecture all about marketing; they had to do a 'taste' test on different brands of Coke and describe the taste in one word. 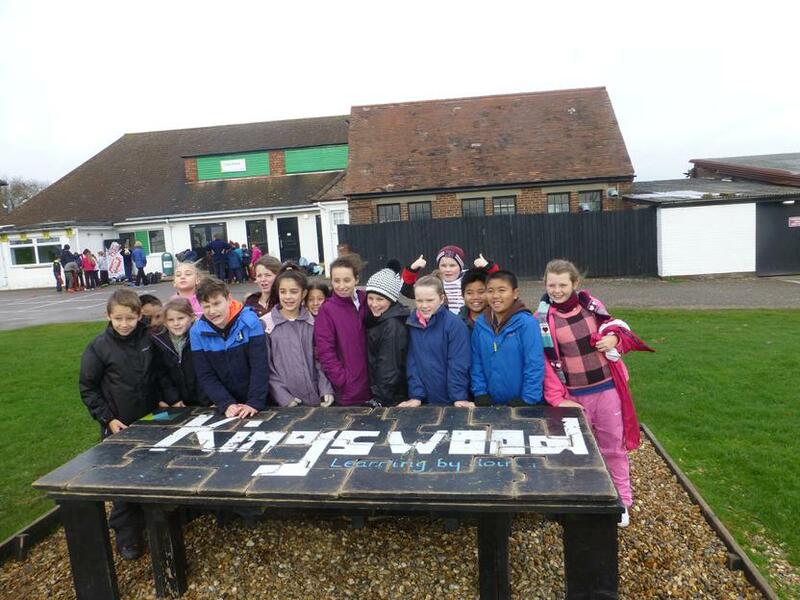 After a tour of the 'campus', where the children experienced what it would be like to live in the halls of residence and visited a few different faculties (Pharmacy, Law, Engineering, Languages) they had lunch in the park. 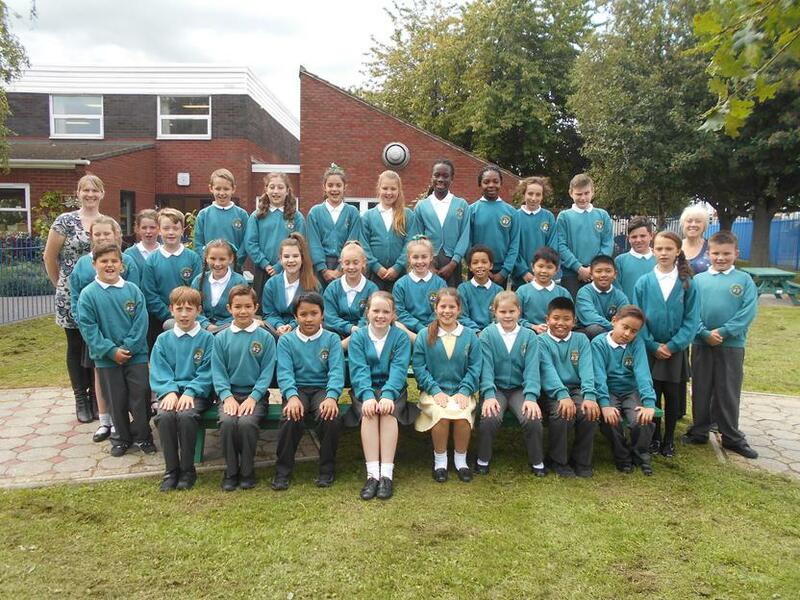 During the afternoon the class took some 'future selfies' - thinking about what they want to be in the future. 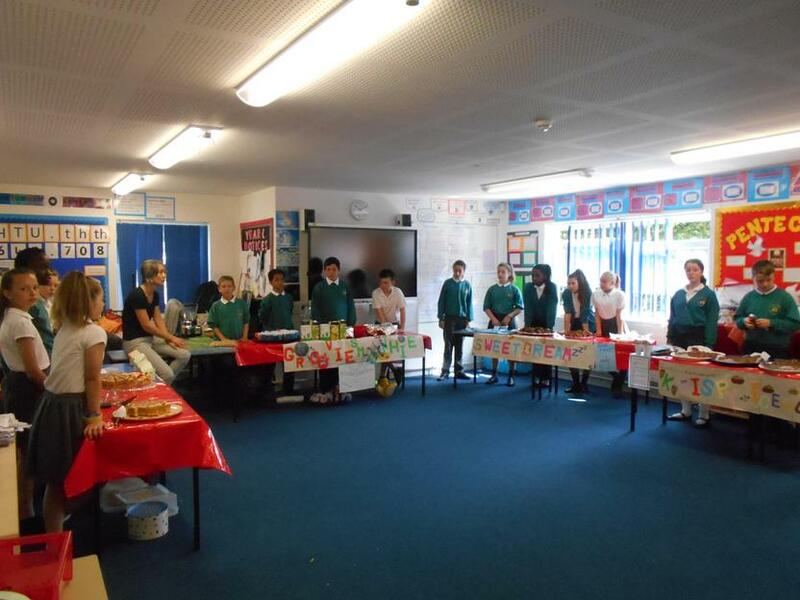 The day concluded with 'Quiz a student', an opportunity to ask any questions about student life and a 'Graduation' ceremony. 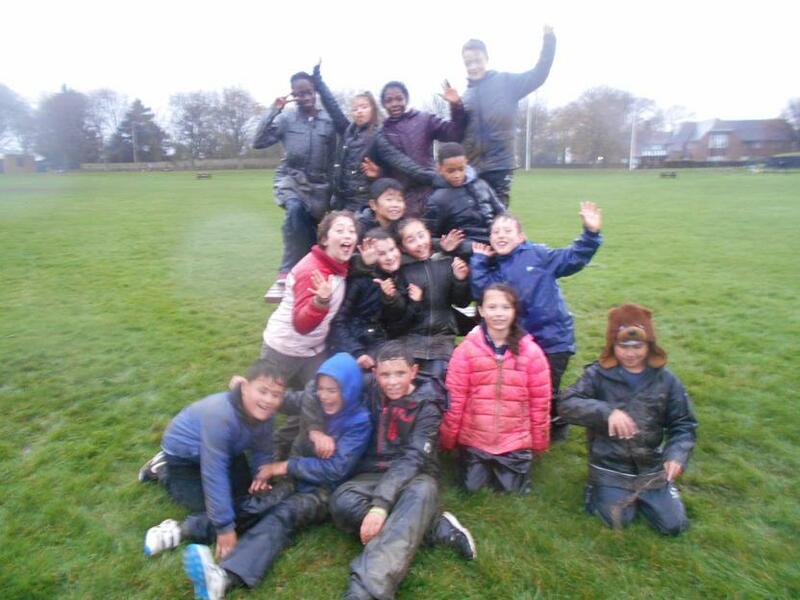 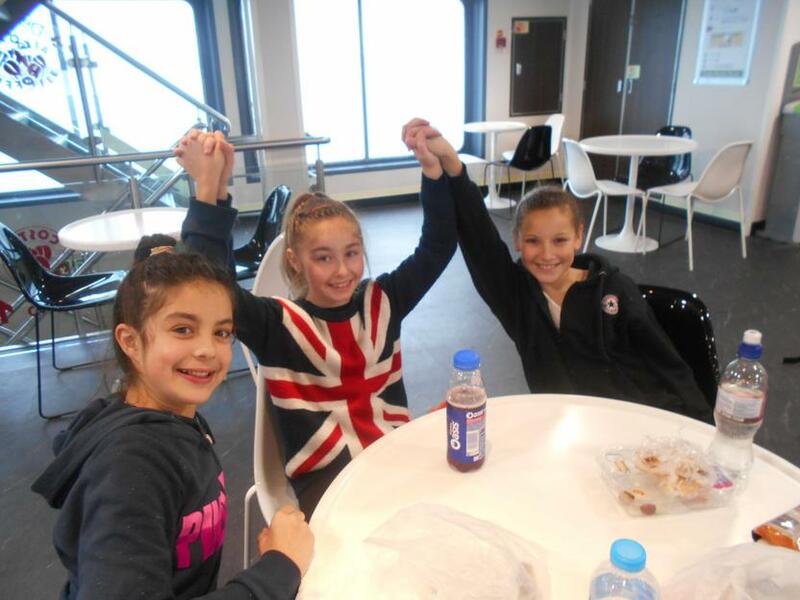 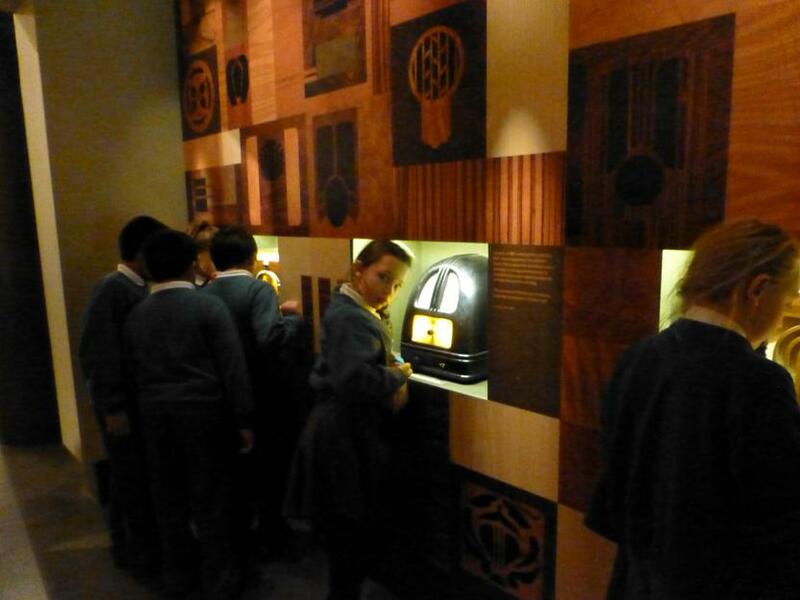 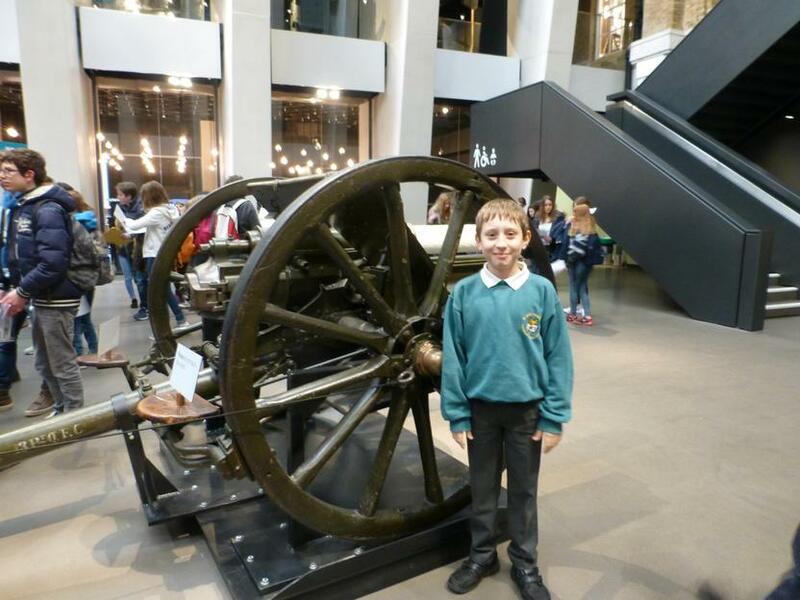 Year 6 travelled to London last Wednesday as part of their end of year celebrations. 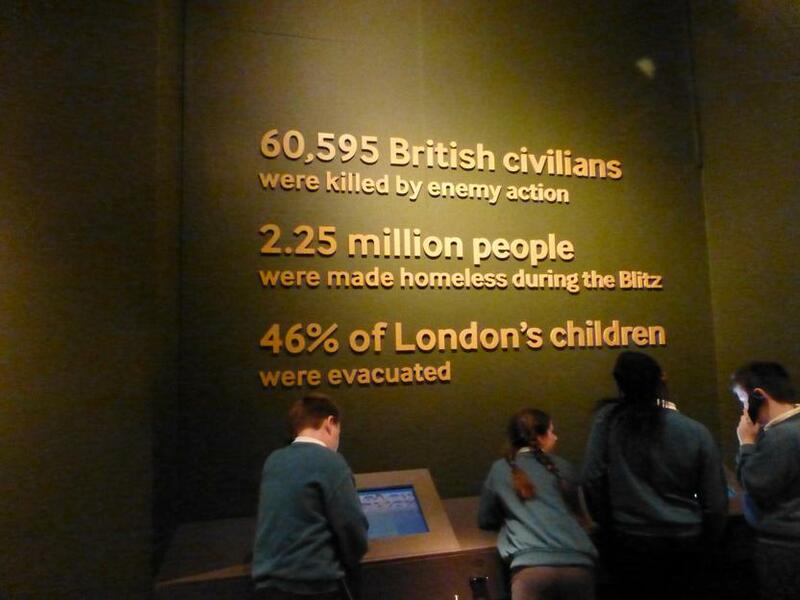 On arrival in London, we headed for the Jubilee Gardens, next to the London Eye, where the children played and had their lunch. 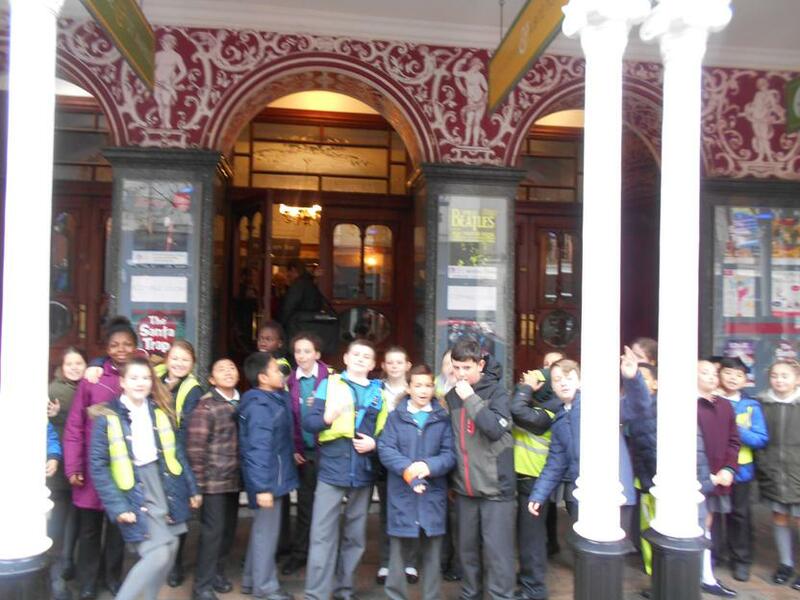 The children were excited to find out that we would be watching The Lion King at the Lyceum Theatre. 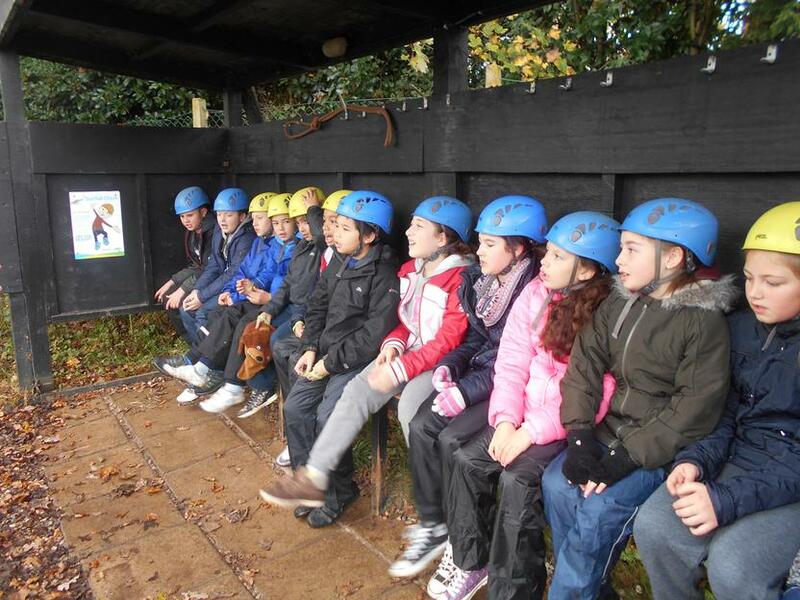 It was fantastic and everyone thoroughly enjoyed it. 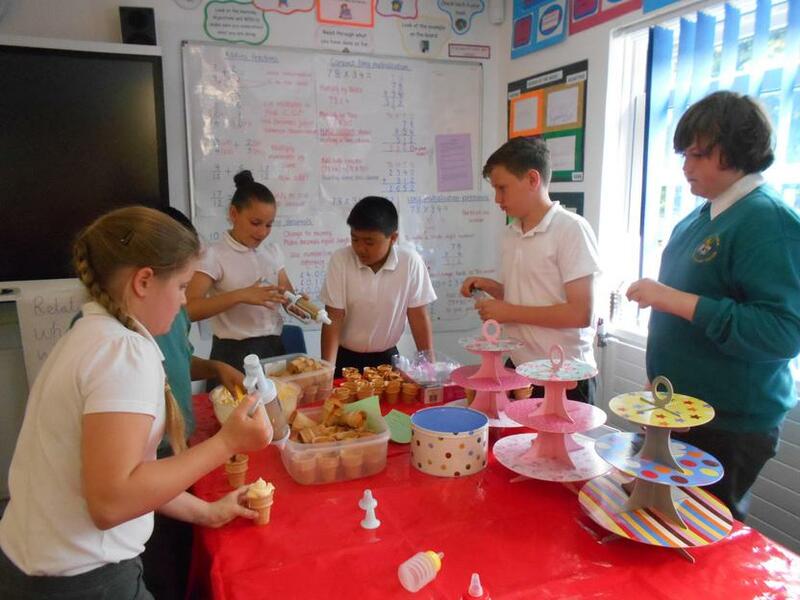 As a special treat, during the performance, the children were treated to an ice-cream too! 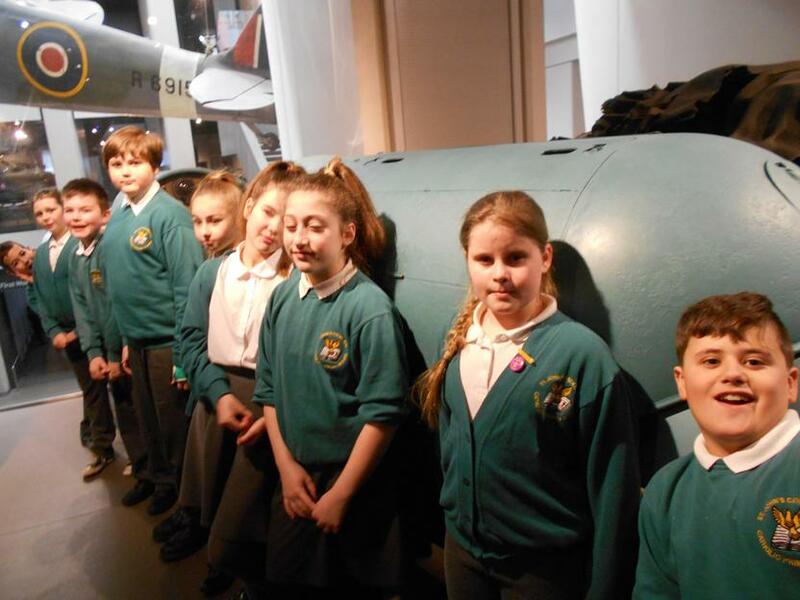 After the show we had a lovely walking tour of the sights; Buckingham Palace, Horse Guards, Downing Street, the Houses of Parliament and many others. 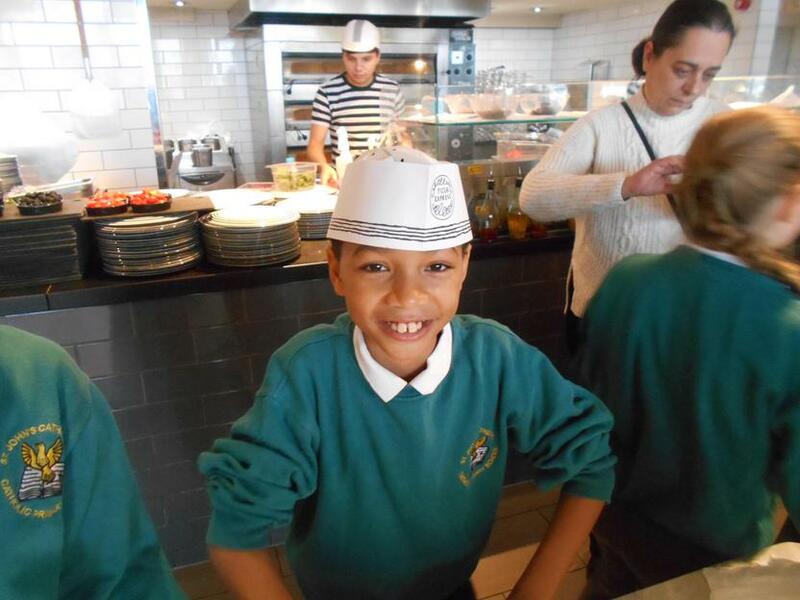 Finally, the day was rounded off with a meal at McDonald's prior to boarding a very busy train home. 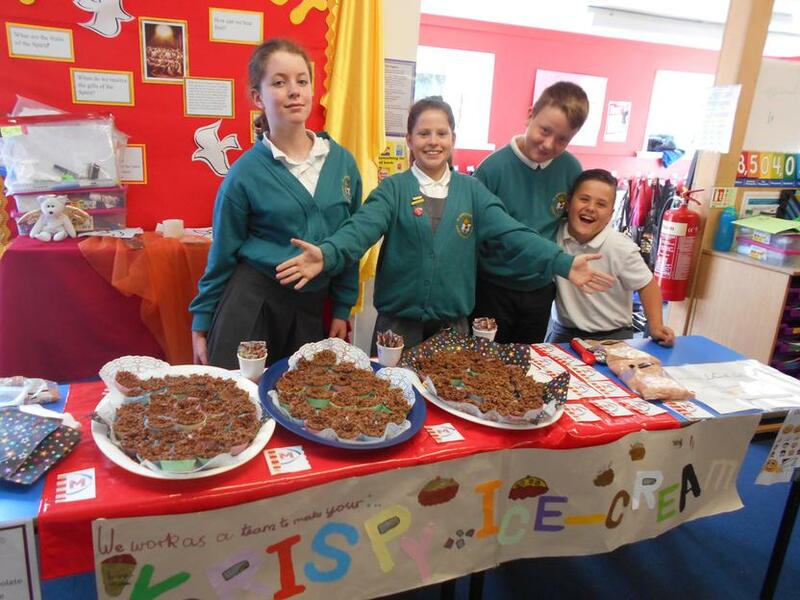 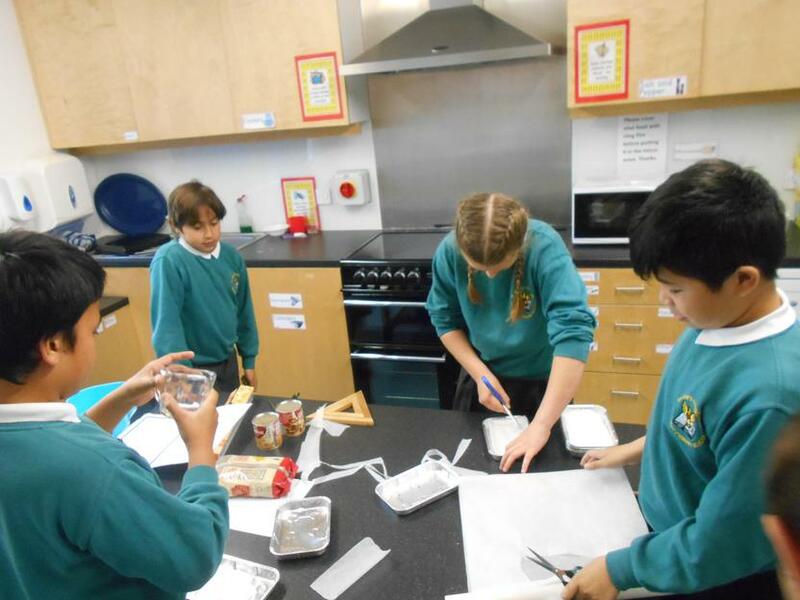 Year 6 have had a hectic few days; planning, cooking, packaging and, finally, selling their products. 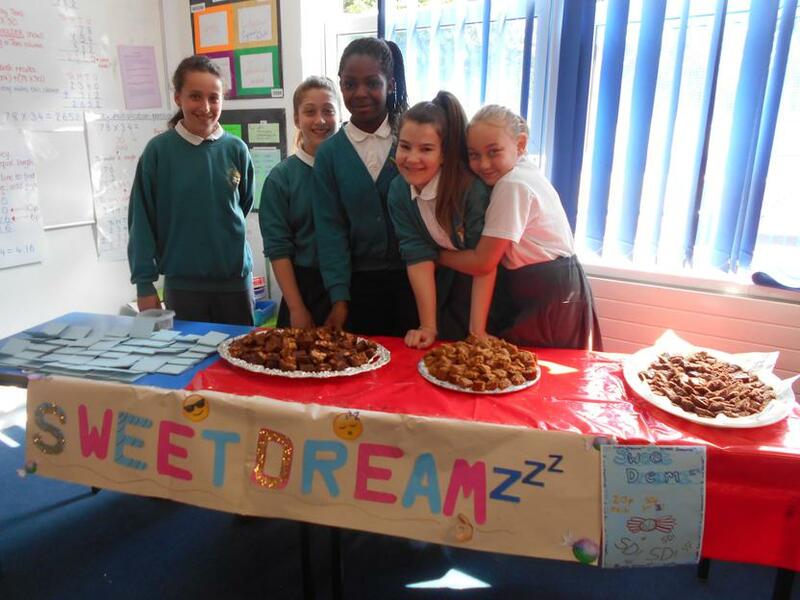 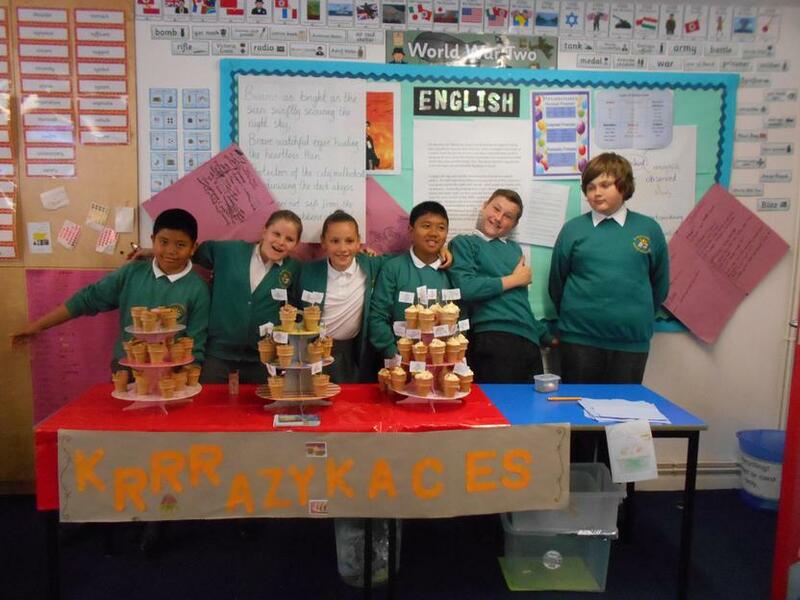 They have tackled a variety of challenges in their 'Young Entrepreneurs' topic. 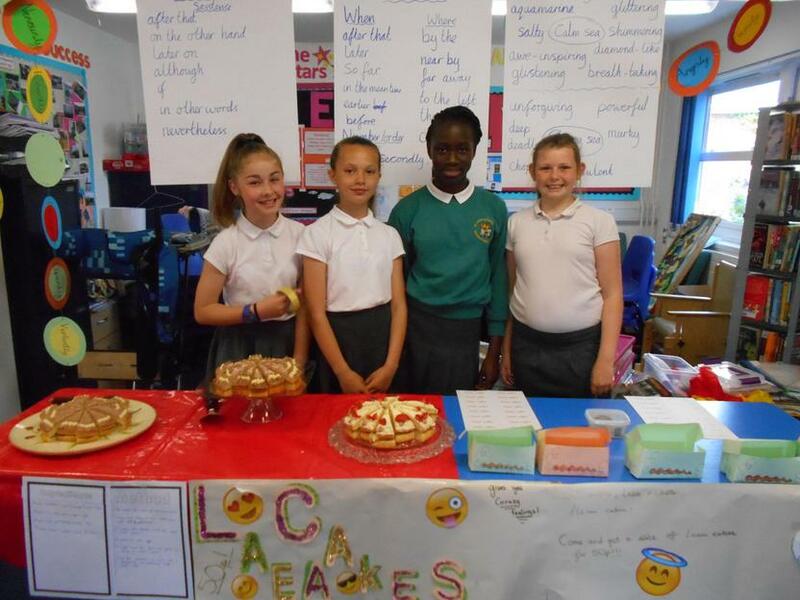 Students have had to decide on: group members - to create a 'company'; design a logo - to advertise themselves; create a product and sell it; whilst considering costs and profit margins! 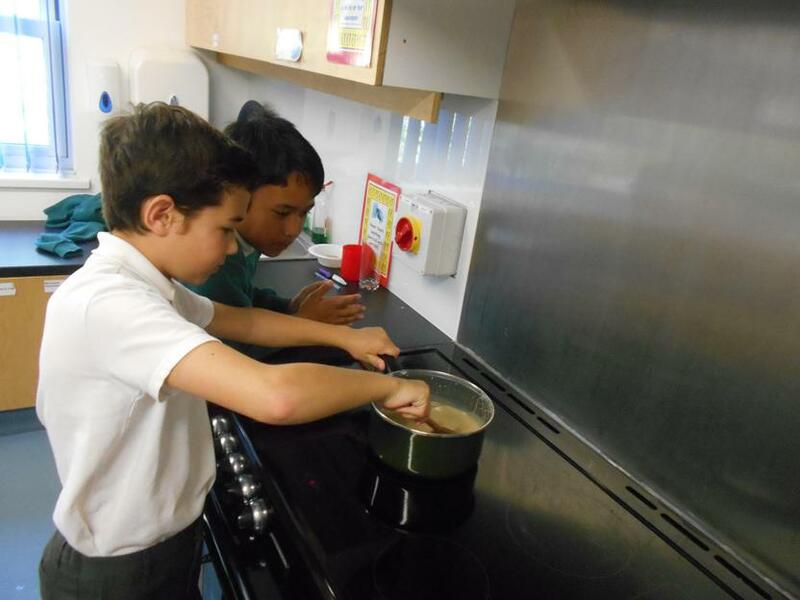 Maintaining harmony within their groups was sometimes challenging and problems had to be overcome; often they encountered tasks they hadn't done before - like washing up the pots and pans! 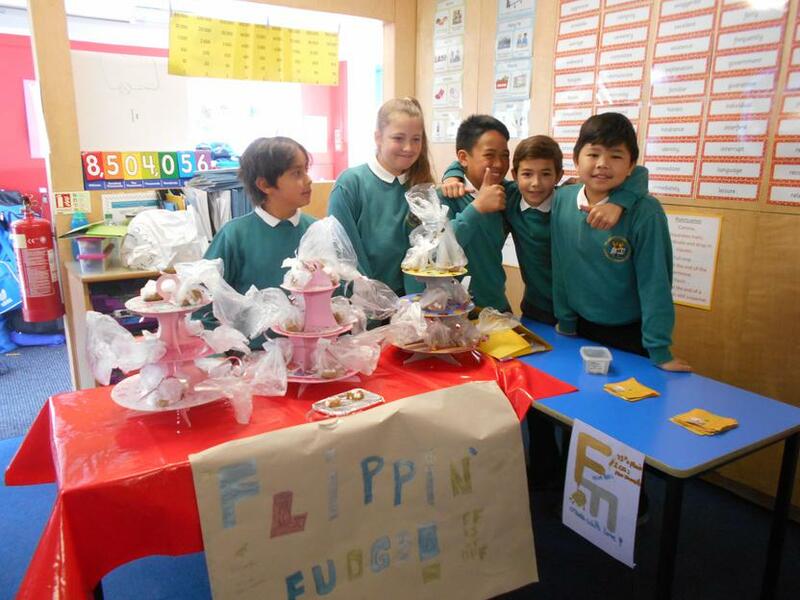 We haven't got the final figures yet but believe there is a profit of around £100. 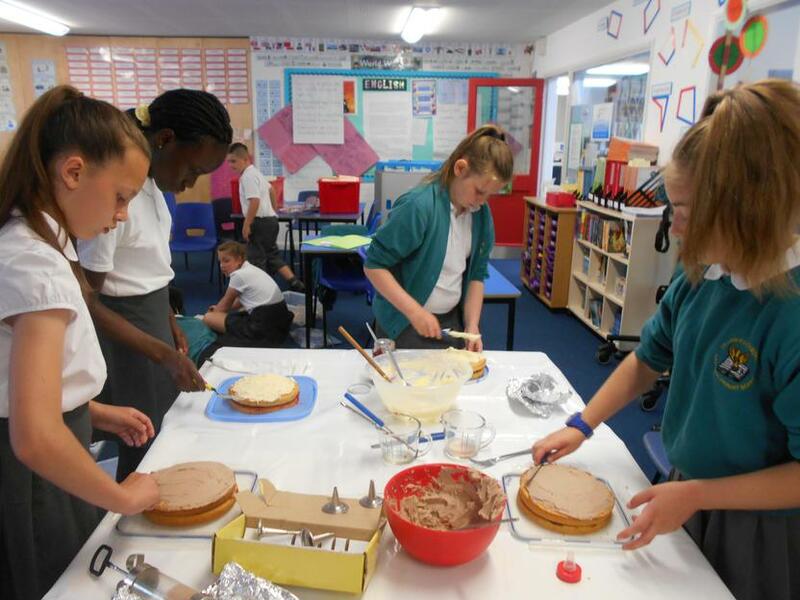 This will be combined, with any monies raised from their end-of-year production, to be donated to their chosen charity (still to be decided). 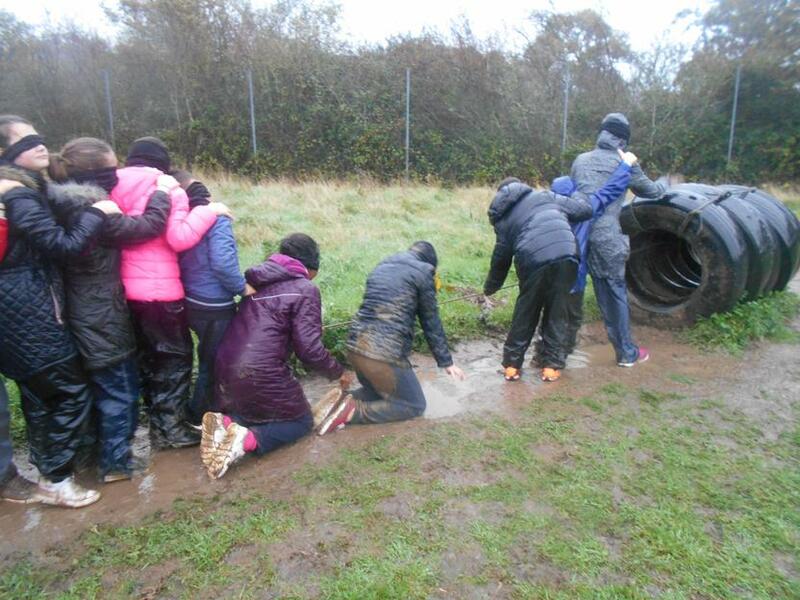 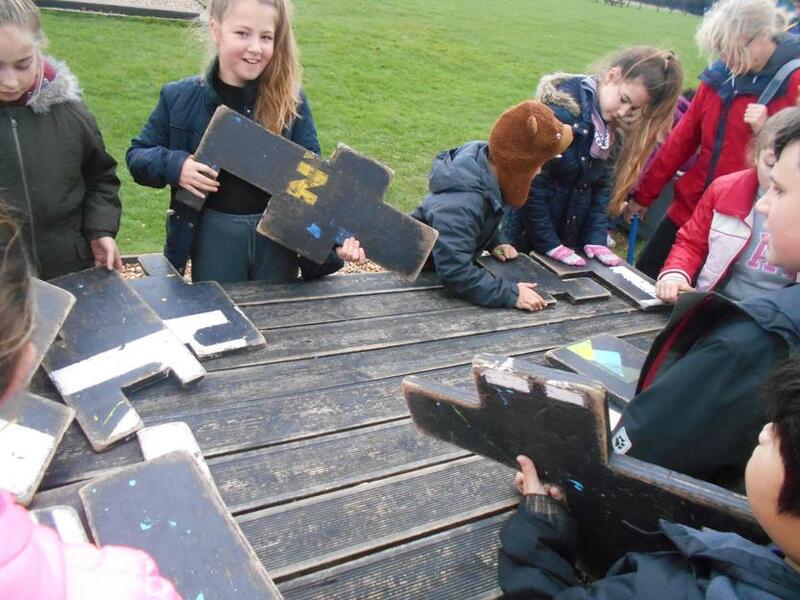 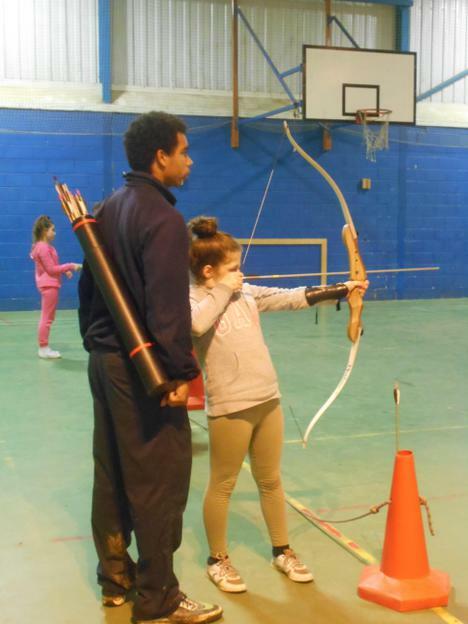 All of the children have thoroughly enjoyed themselves and, we're sure you'll agree, the final outcome was a huge success. 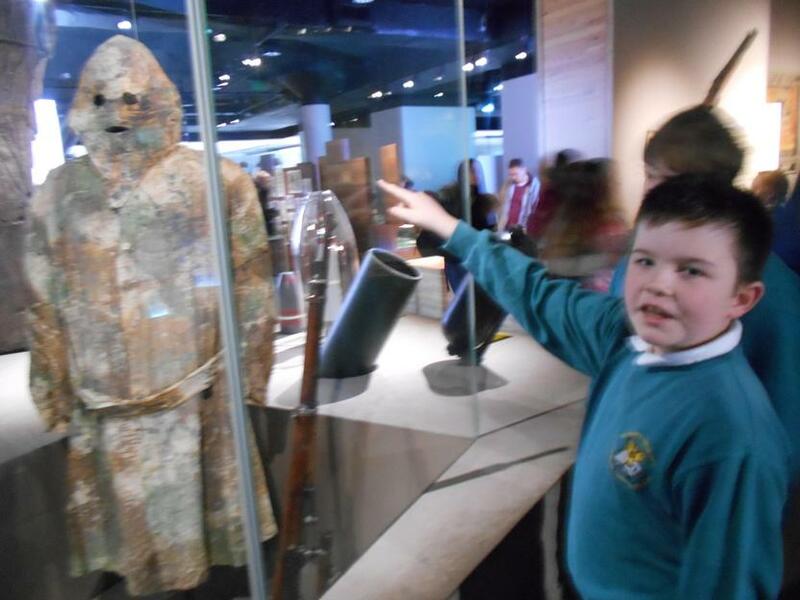 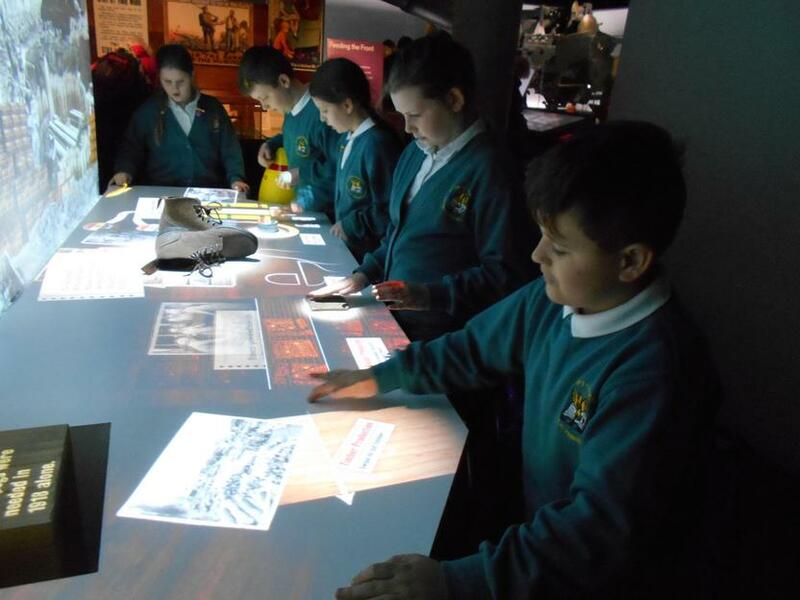 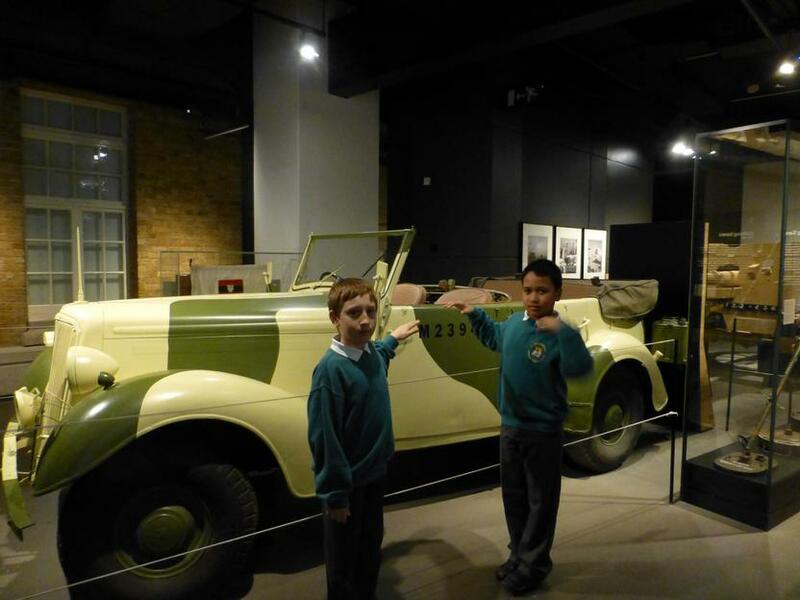 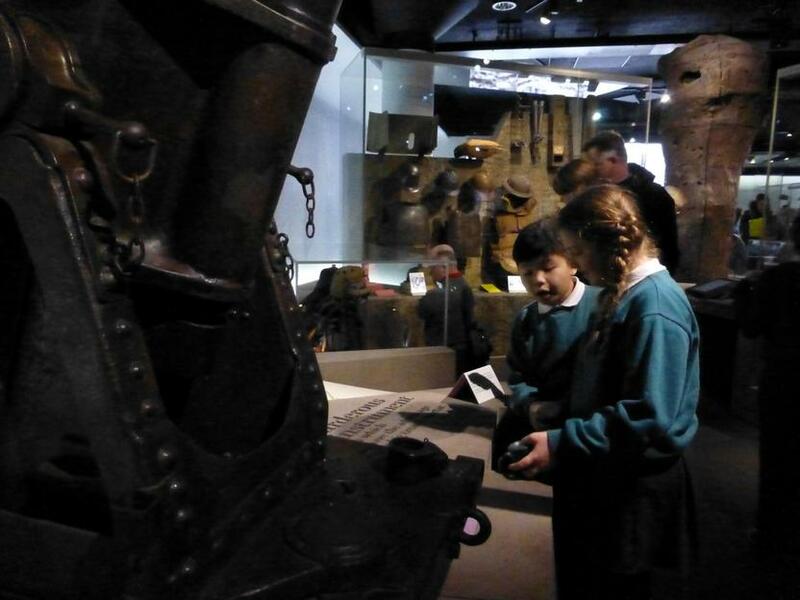 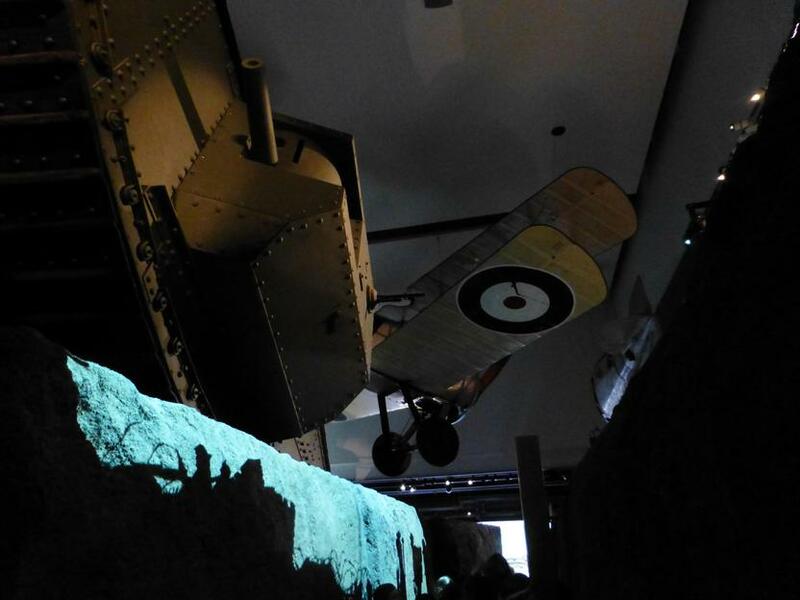 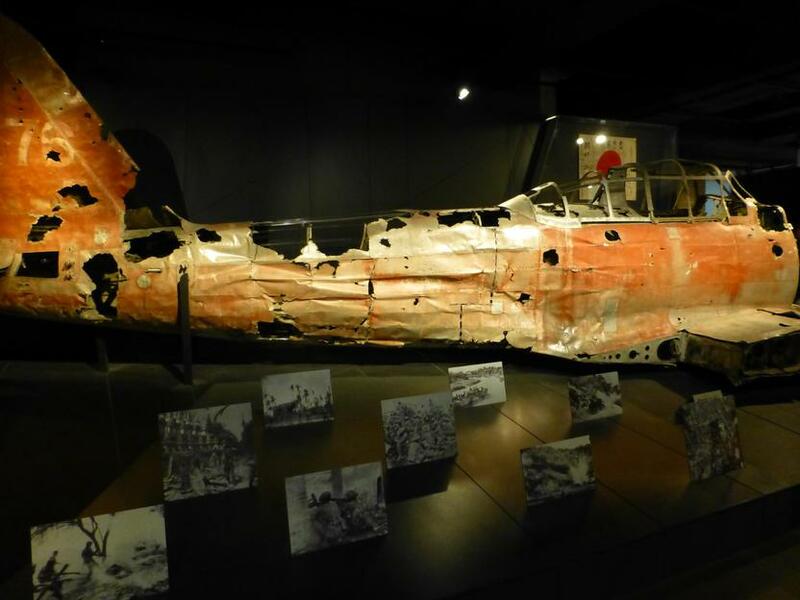 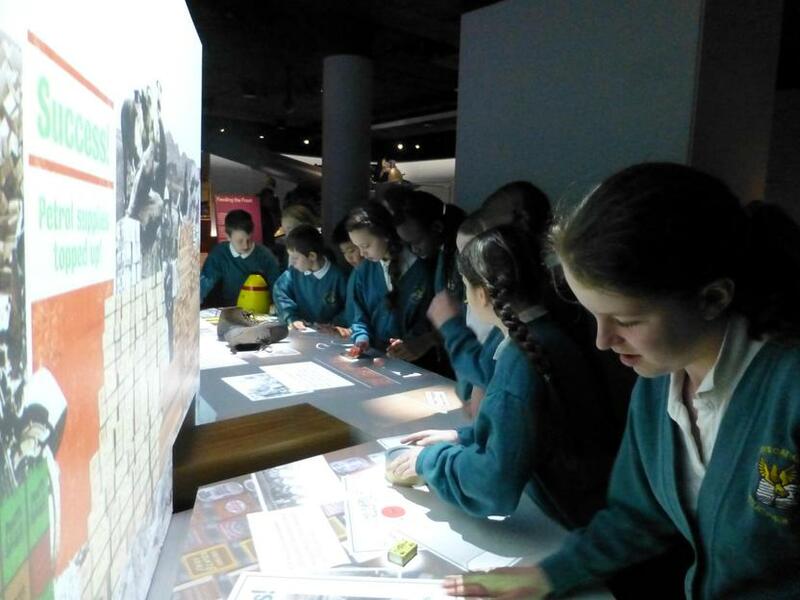 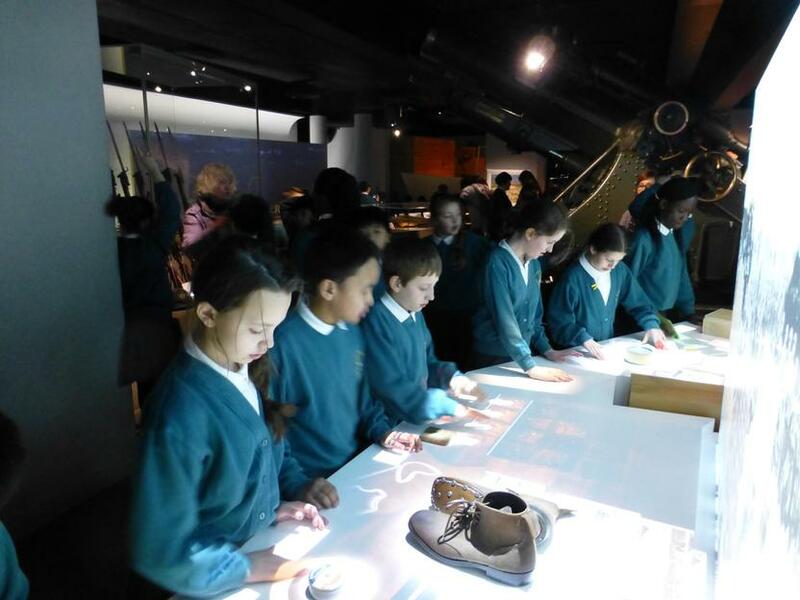 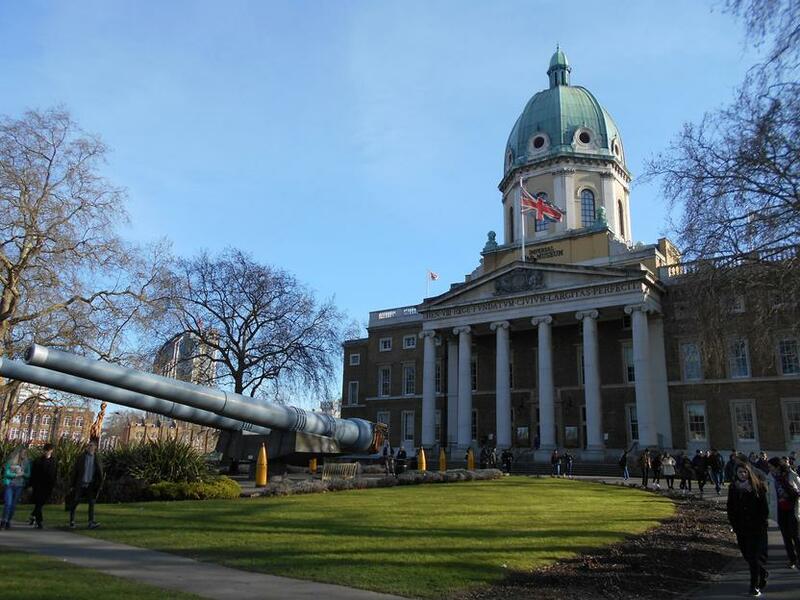 Year 6 travelled to London on Monday 14th to visit the Imperial War Museum; they were very excited at the prospect of a day out in London and were eager to investigate everything. 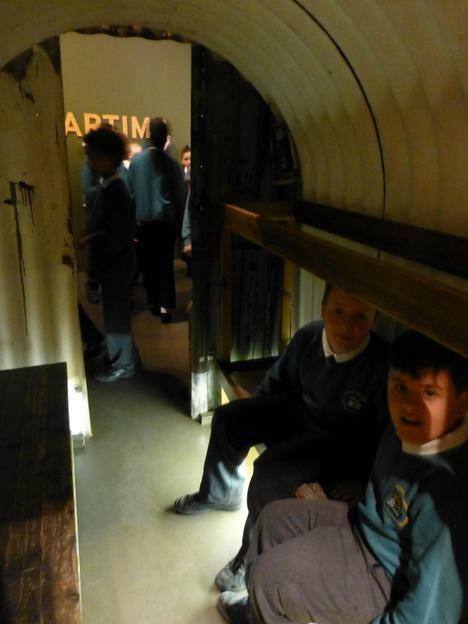 As they have already studied World War One and are continuing on with World War Two, it was the perfect venue. 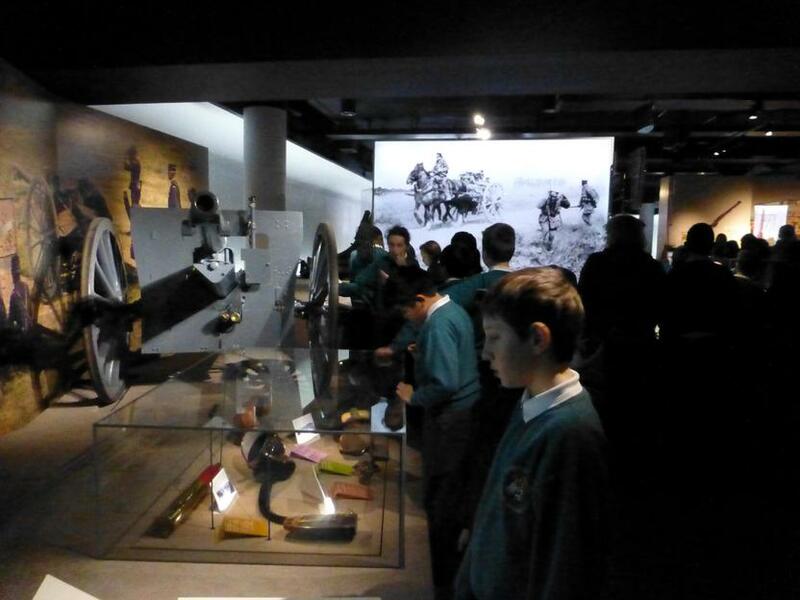 Browsing the exhibits, they were able to see examples of uniforms and weaponry, used by different nationalities (French, German, British amongst many others) along with artefacts from civilian households, which caused some amusement and lots of questions! 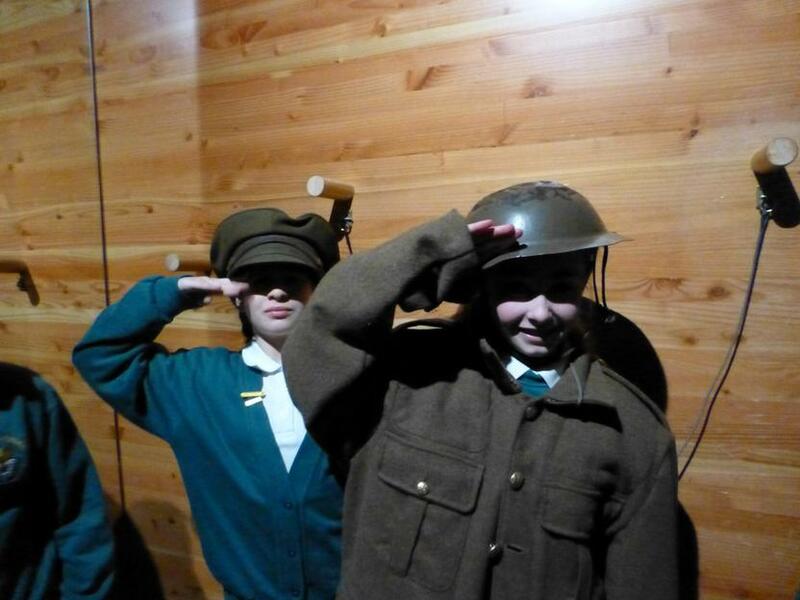 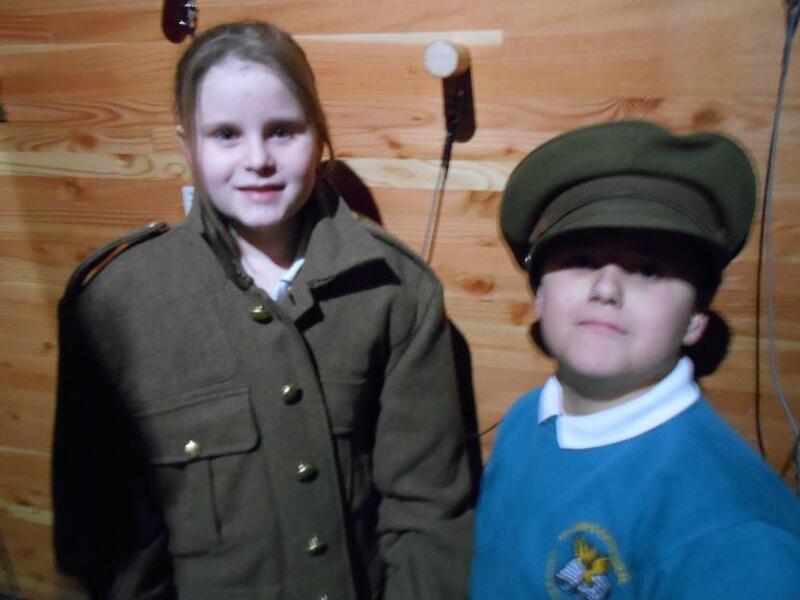 Some of the children also had the opportunity to try on some uniforms, which they said were very itchy! 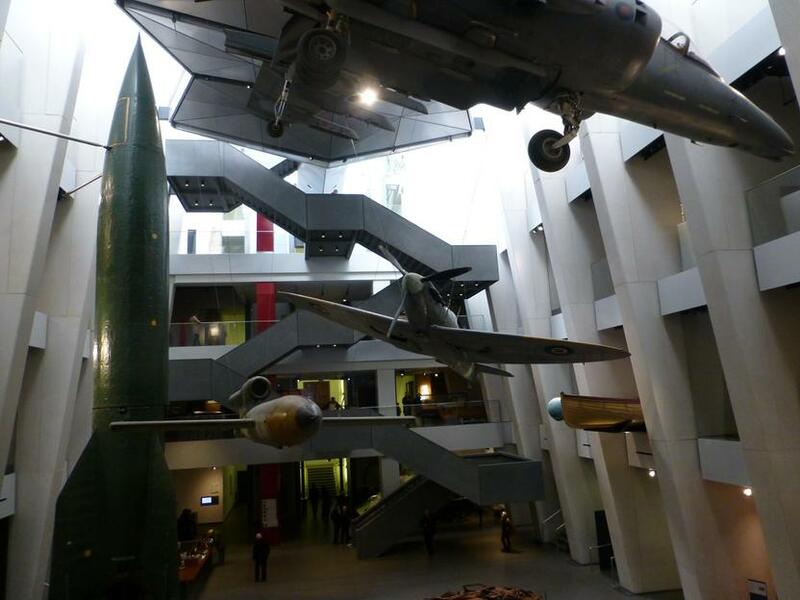 One of the most amazing sights were the fighter planes suspended from the ceiling of the main atrium. 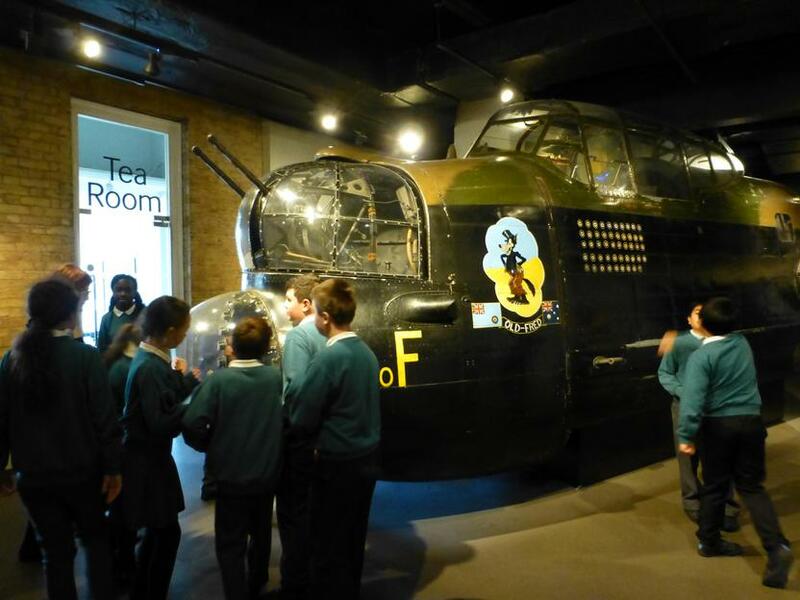 Additionally, they were privileged enough to meet with a 'survivor' of WWII, who regaled them with anecdotes about his life; being evacuated as a young boy. 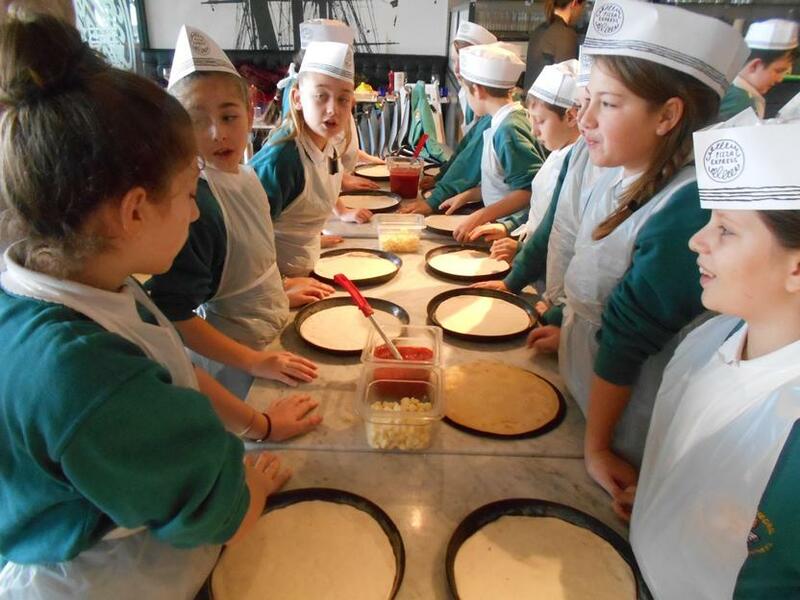 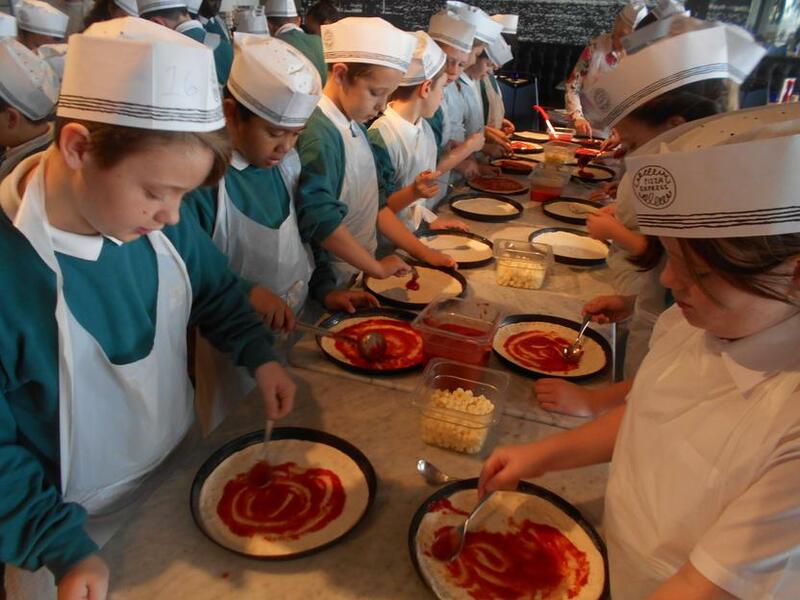 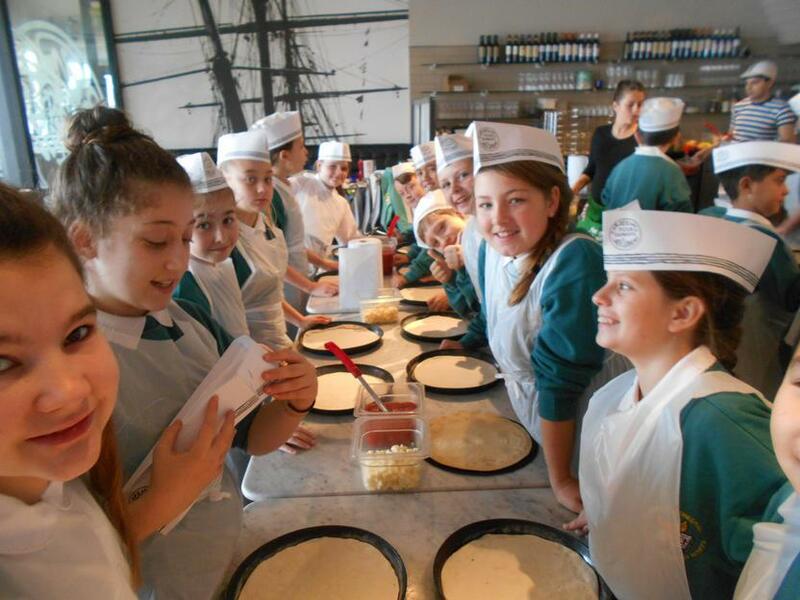 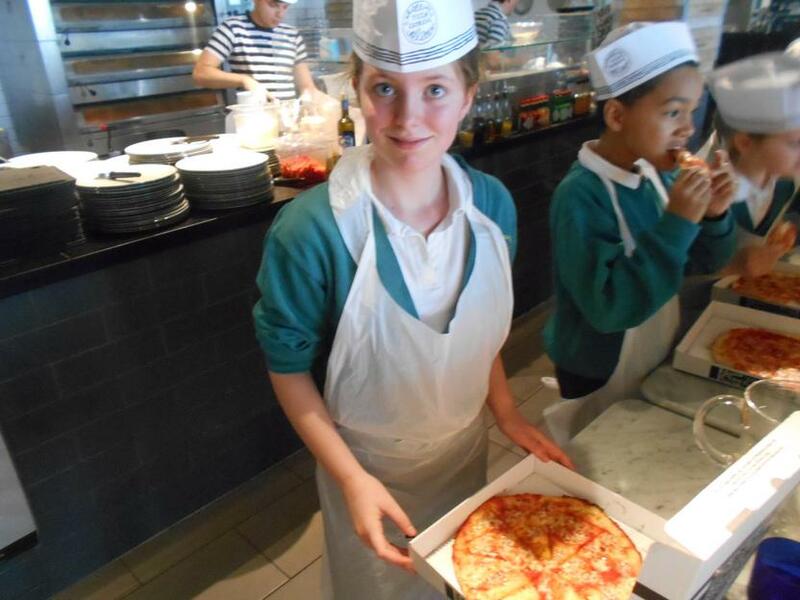 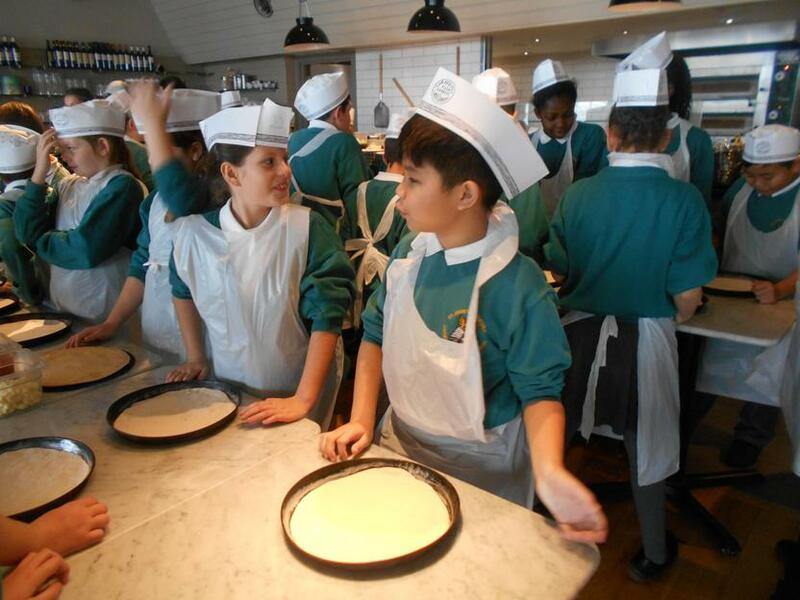 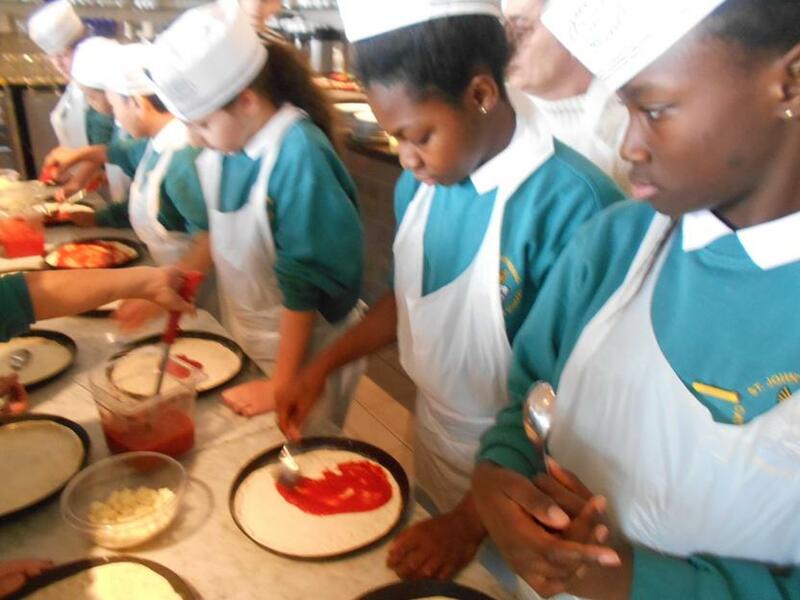 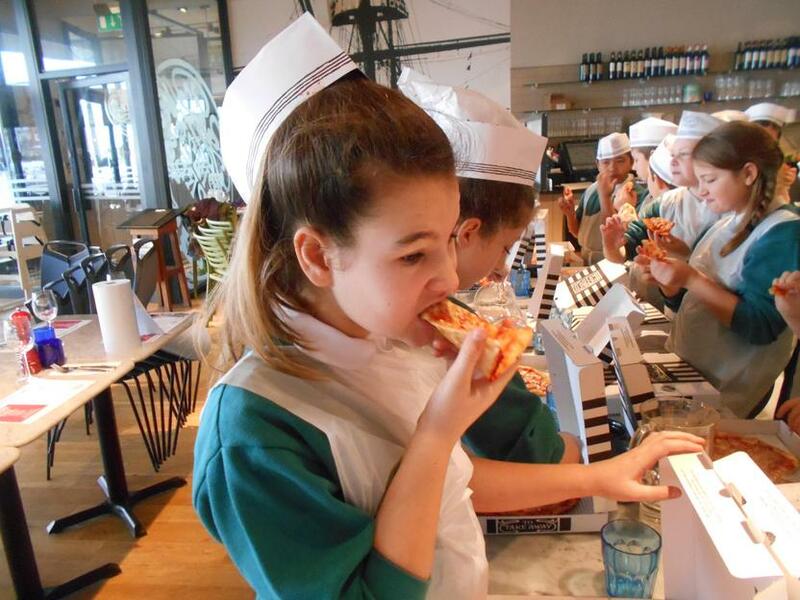 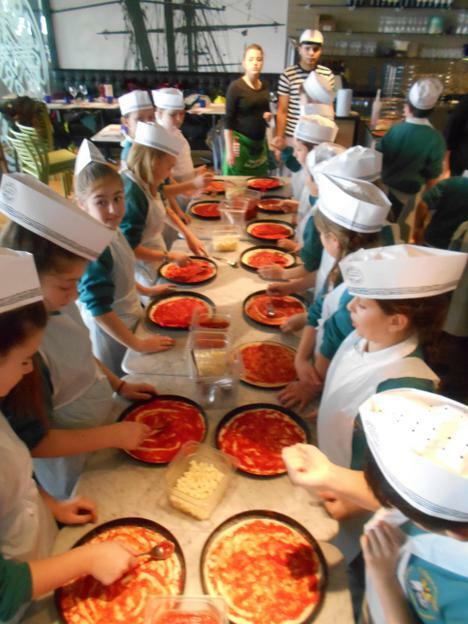 Year 6 visited Pizza Express at Gunwharf Quays today. 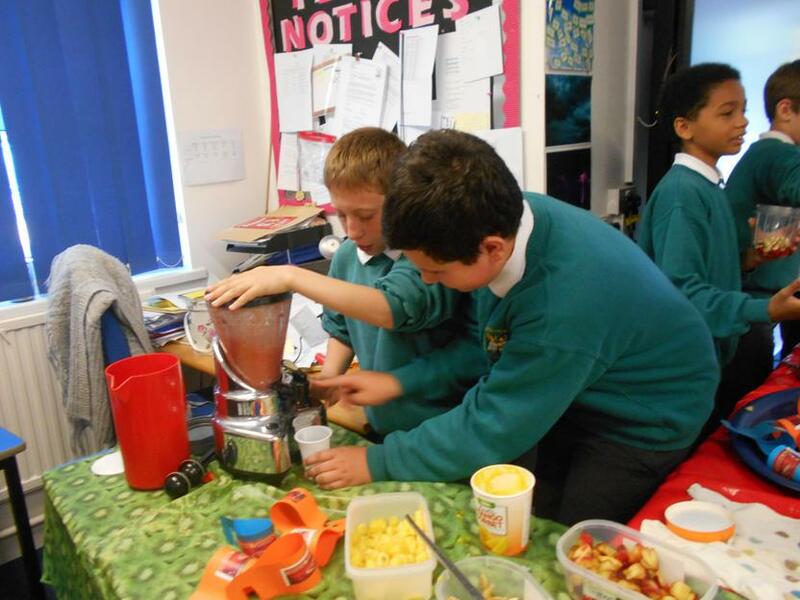 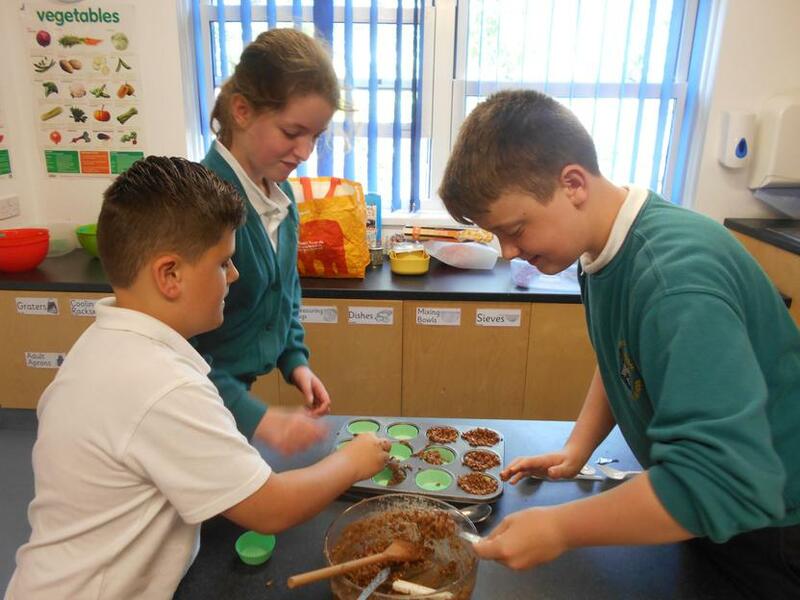 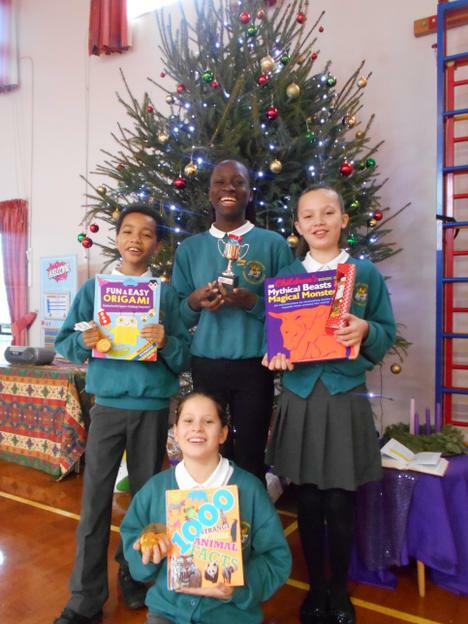 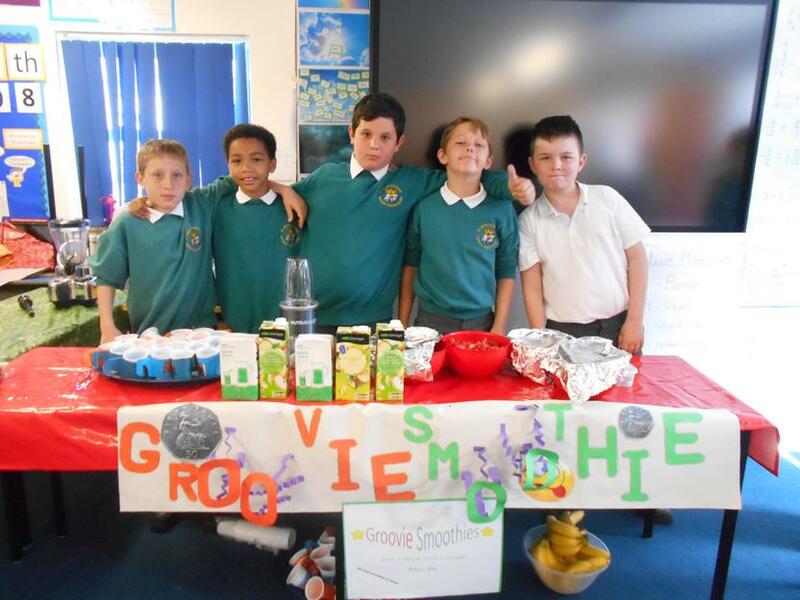 This linked in with Year 6 science and PHSE, where they have been thinking about healthy living, balanced diet and nutrition. 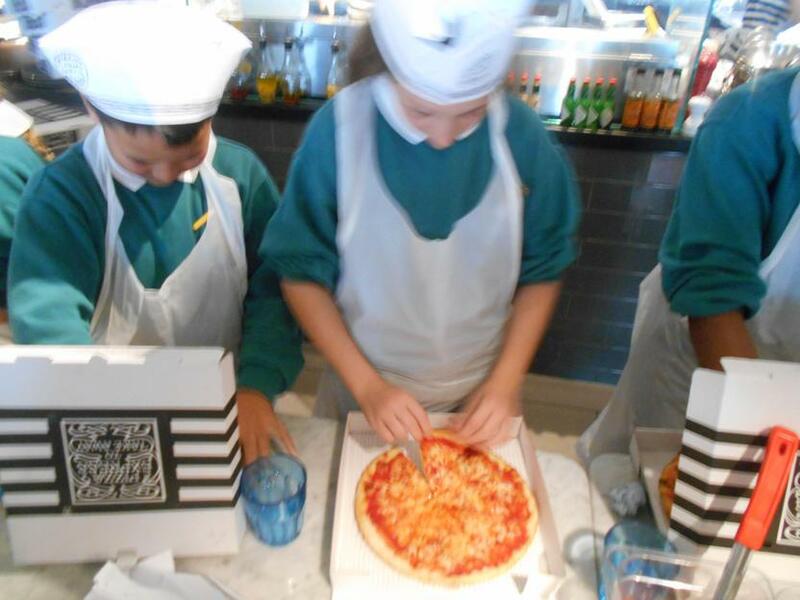 The staff at Pizza Express were very welcoming and guided the class through the process of creating a pizza. 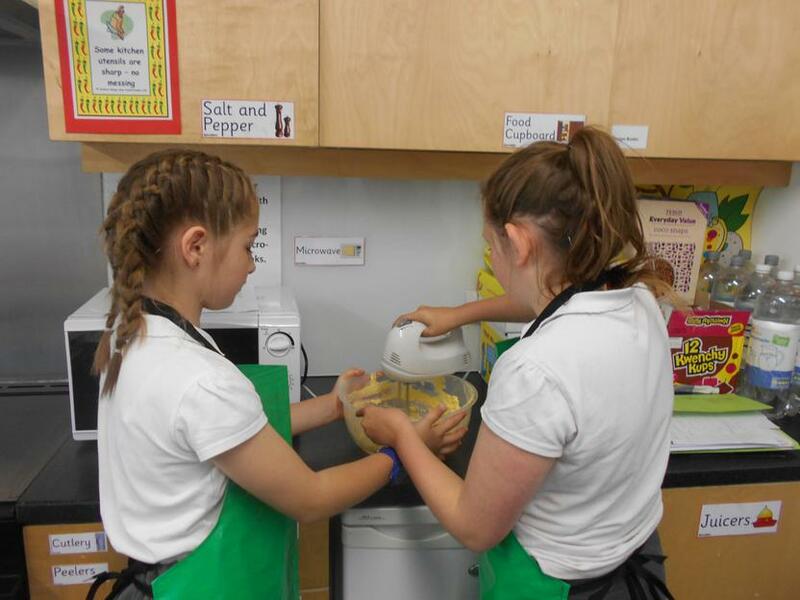 After washing their hands (a vital step in food preparation and hygiene) the children put on their hats and aprons. 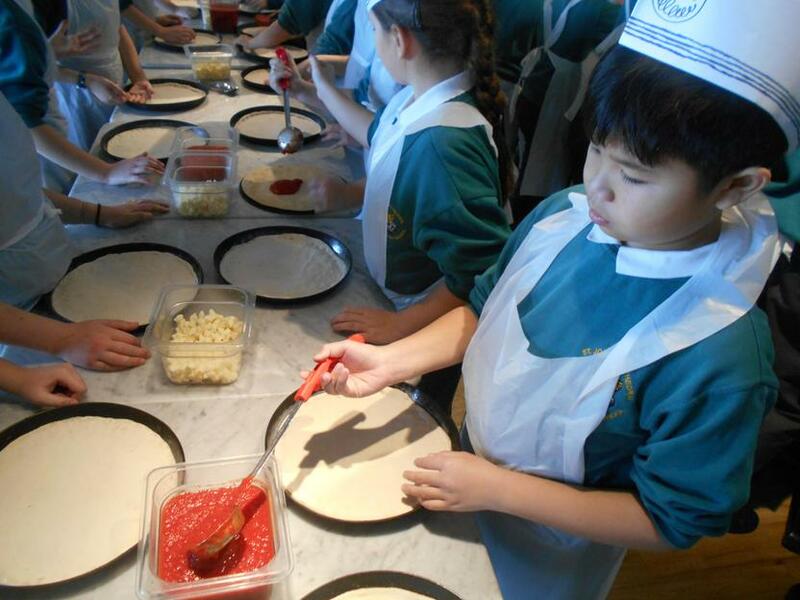 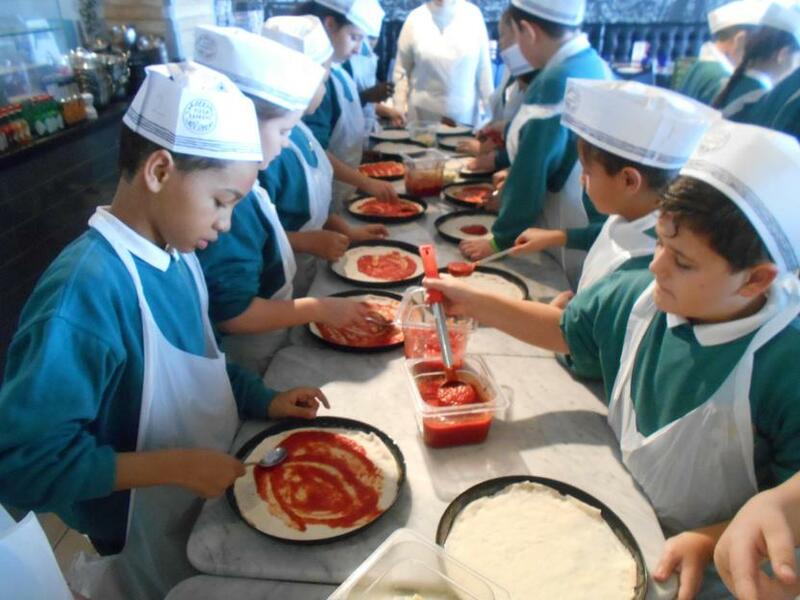 Eddie (the chef) instructed the class how to spread the tomato sauce onto the pizza bases prior to adding the mozzarella cheese topping. 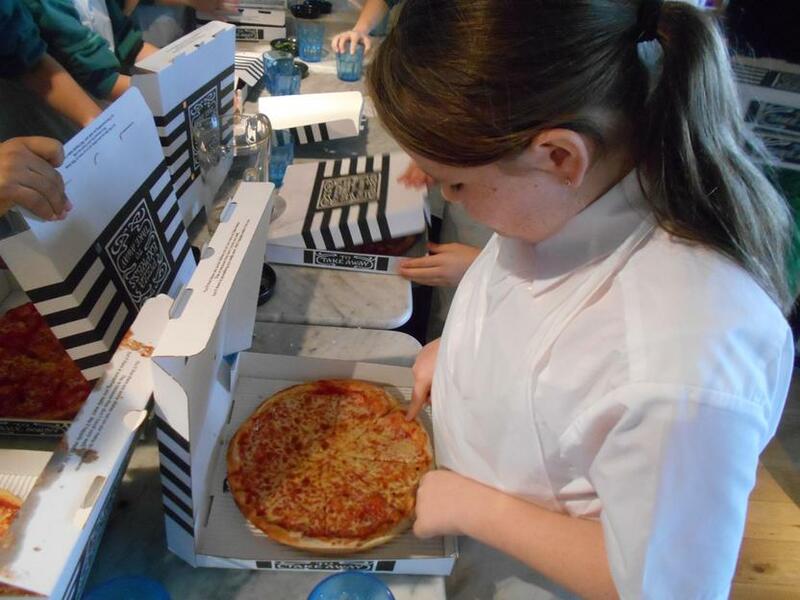 Whilst the pizzas were being cooked, Chelsea (another employee) served water to the children and tested their knowledge of ingredients. 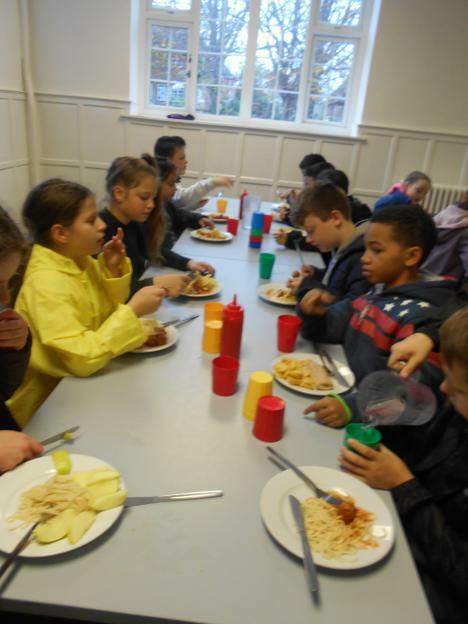 The children were also lucky enough to be able to sample some fresh ingredients: baby tomatoes, red peppers, olives and basil leaves - not everyone agreed on how delicious the olives were! 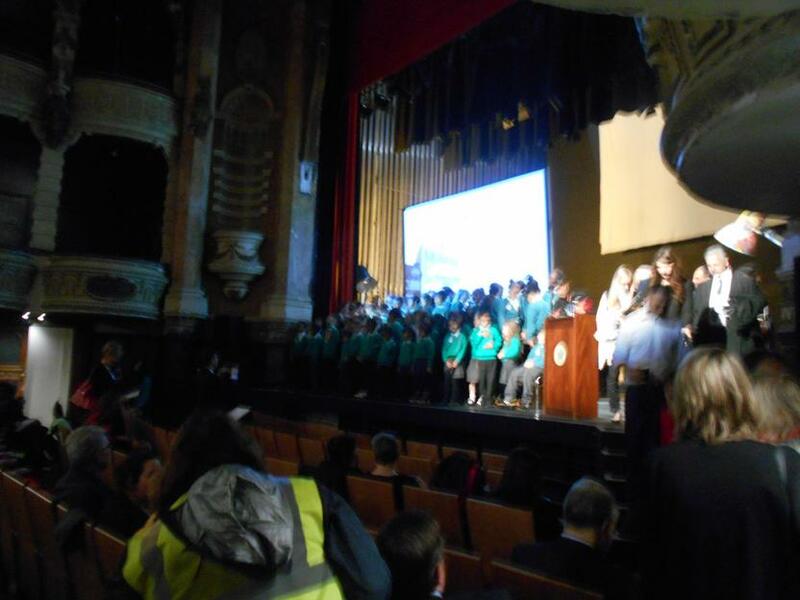 On Friday 20th November, Year 6 went to the New Theatre Royal to perform a specially composed song at the launch of the 'Shaping Portsmouth’ for the future conference.This was in partnership with the Portsmouth Music Hub . 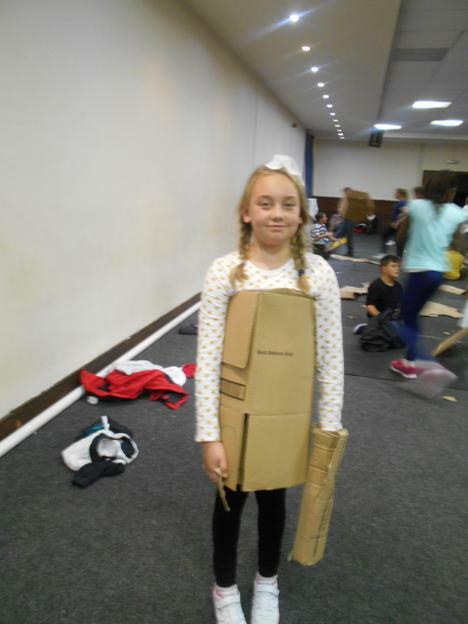 the children had to make 'outfits' for a 'model' to wear along a catwalk; only using bits of old cardboard boxes; an active imagination, teamwork and a very limited amount of Sellotape). 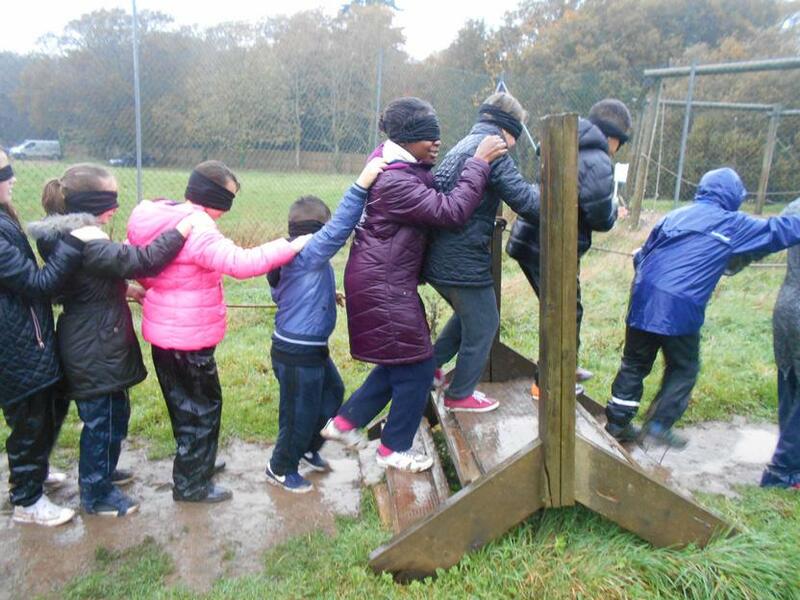 balance beam (wearing a harness attached to ropes the children had to climb a series of beams and then walk along to the centre before being winched down to the ground. 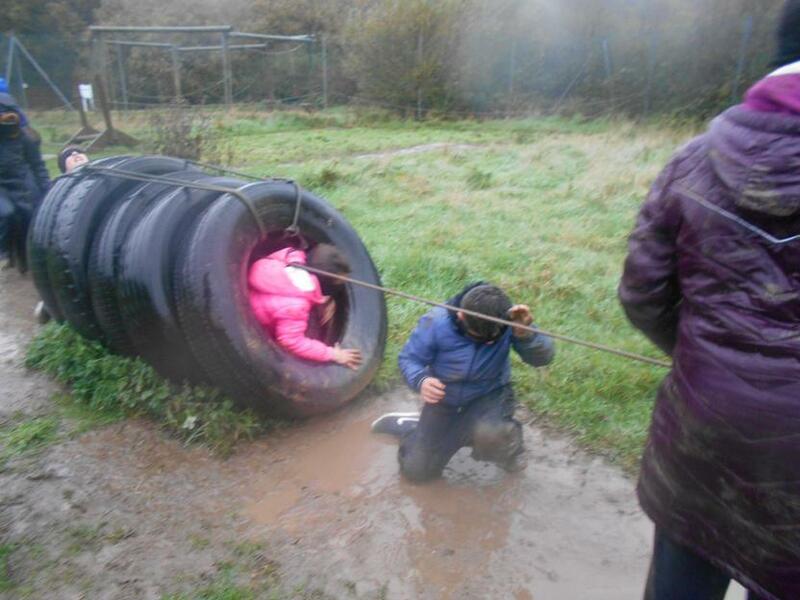 They challenged themselves (Challenge by Choice) setting a goal that they wanted to achieve before attempting each activity. 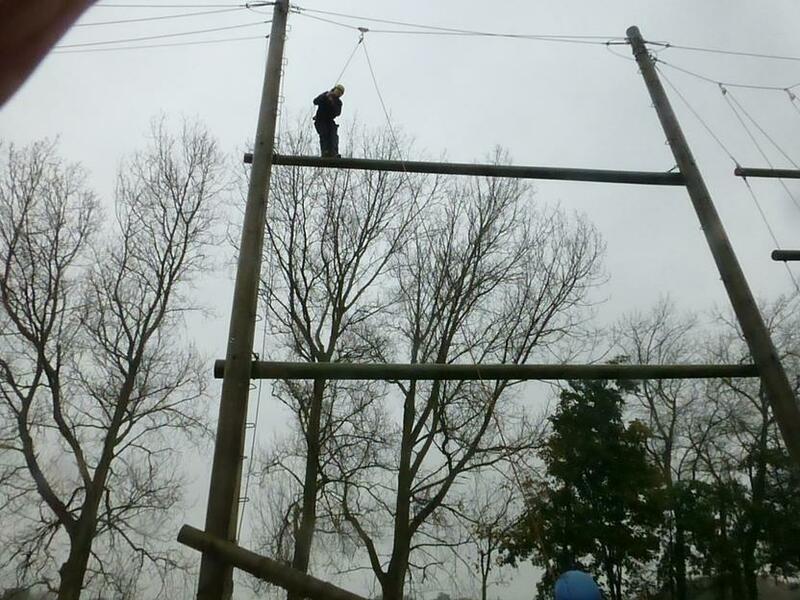 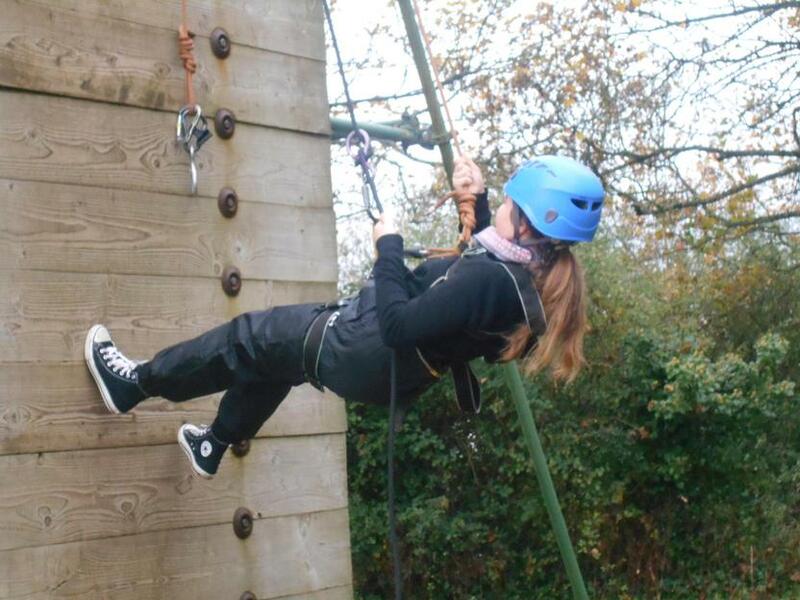 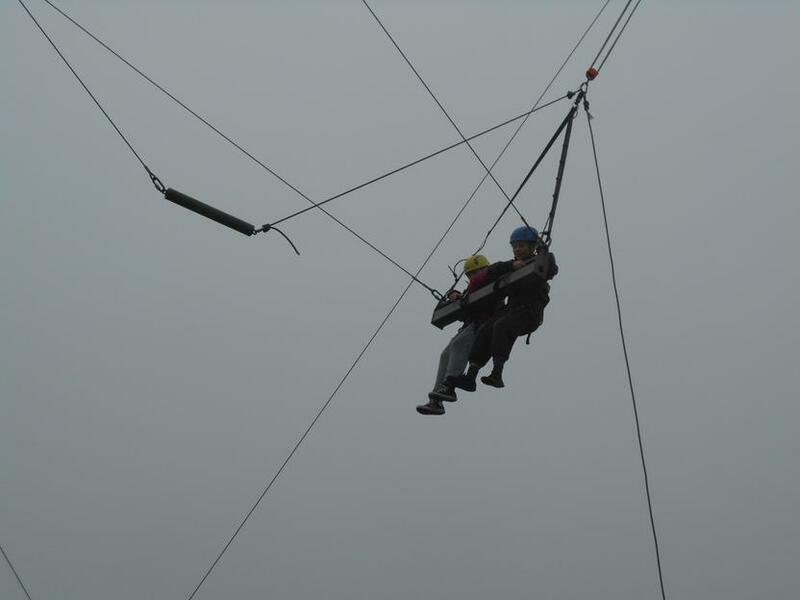 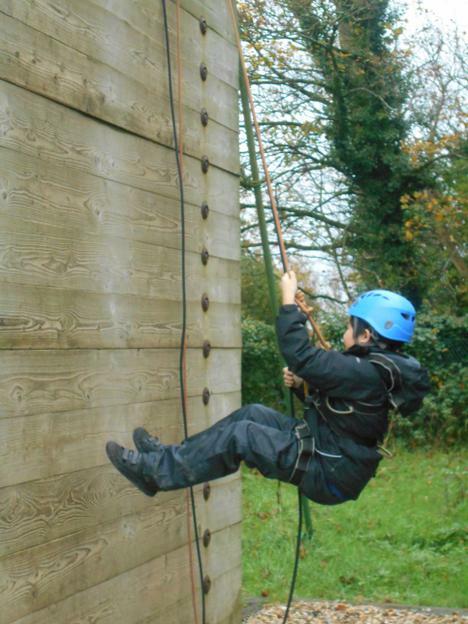 Some of the children managed to scale the dizzy heights to the top of the beams/poles, which was about 6 metres high. 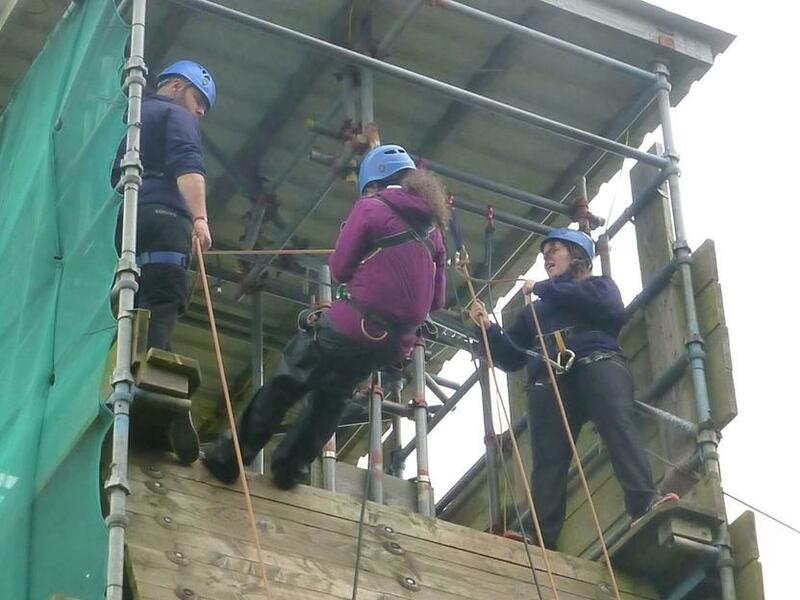 Leap of faith - again wearing harness and rope they ascended the 'telegraph' pole to the top (if they could) and stood atop before leaping to touch a ball suspended about 2 metres away. 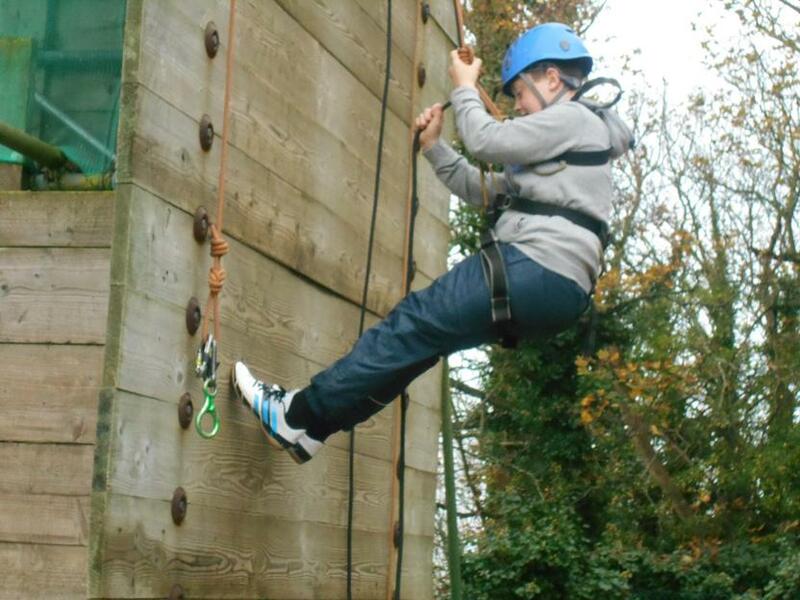 This took great courage and as suggested a good deal of 'faith' in the equipment and instructors. 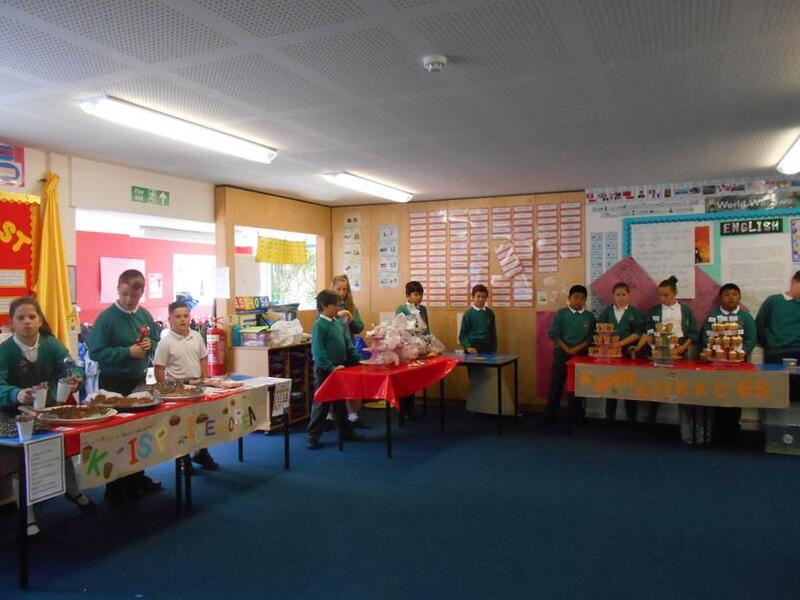 There was also a disco, where we danced the night away to the latest tunes which the children thoroughly enjoyed although they were very tired at this point. 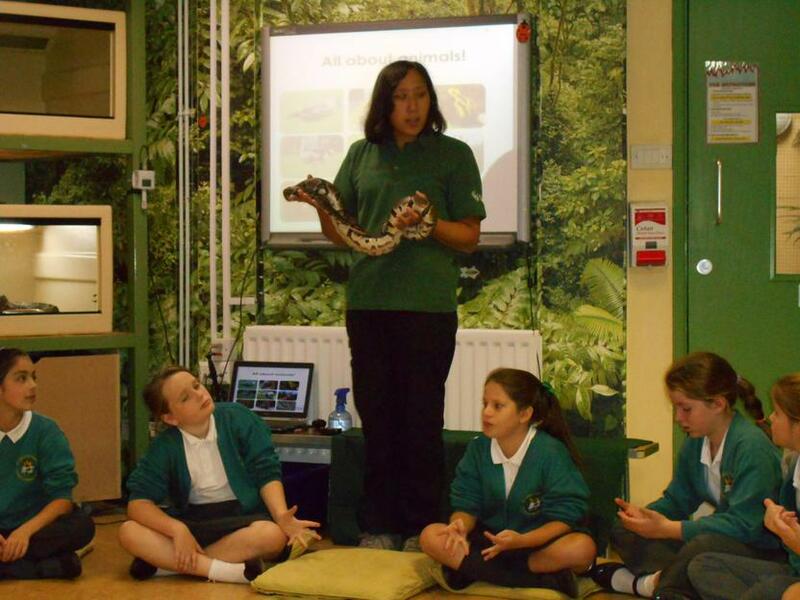 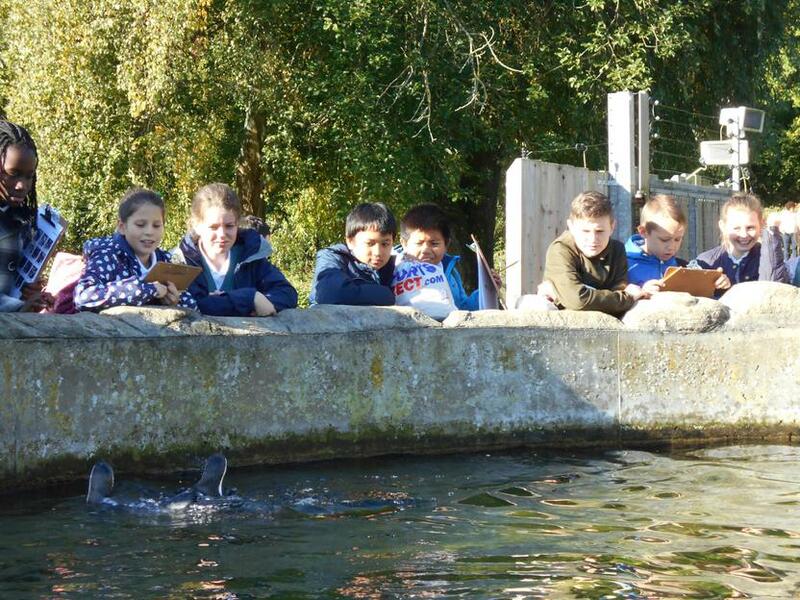 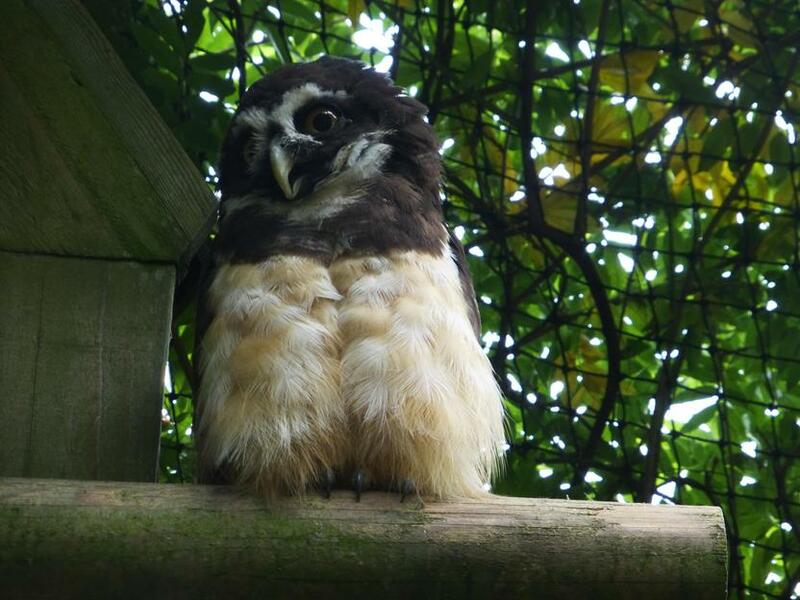 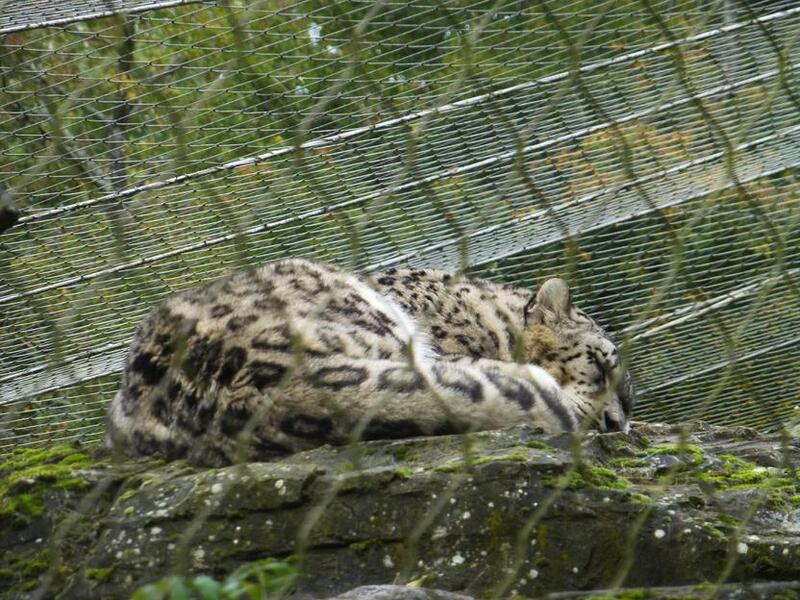 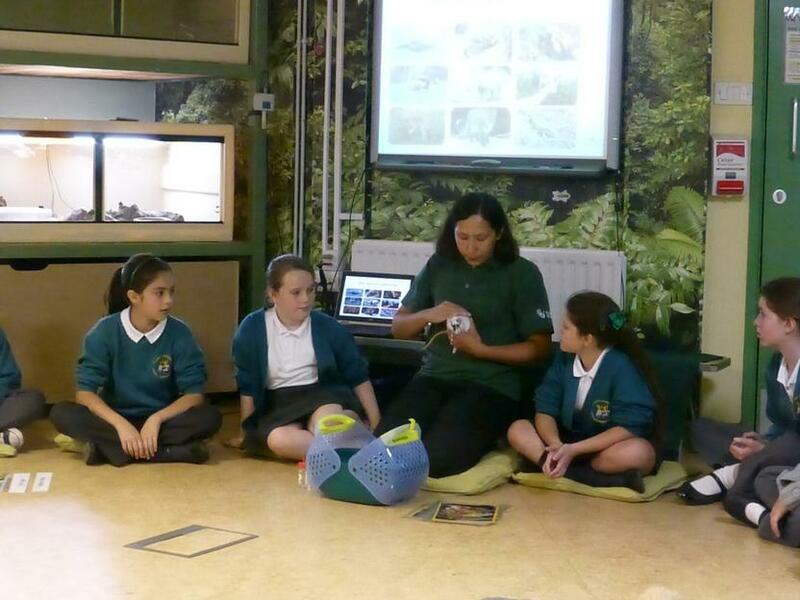 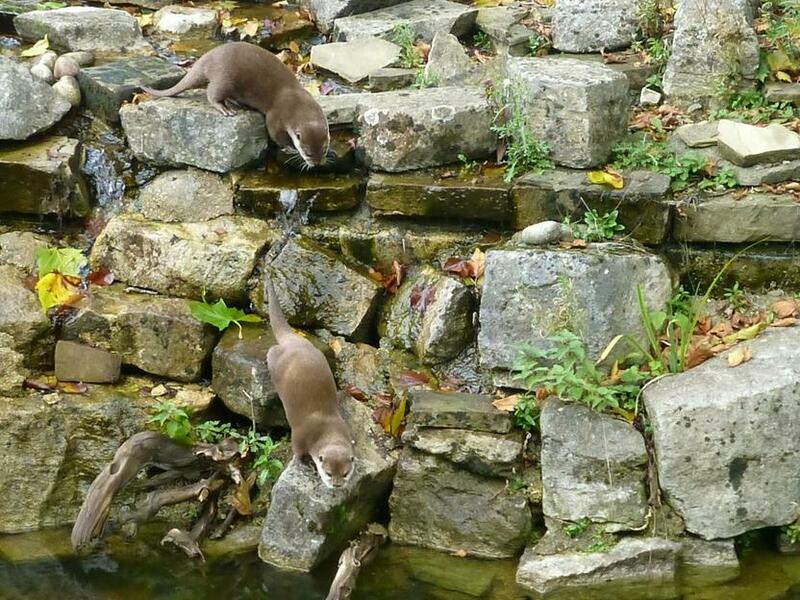 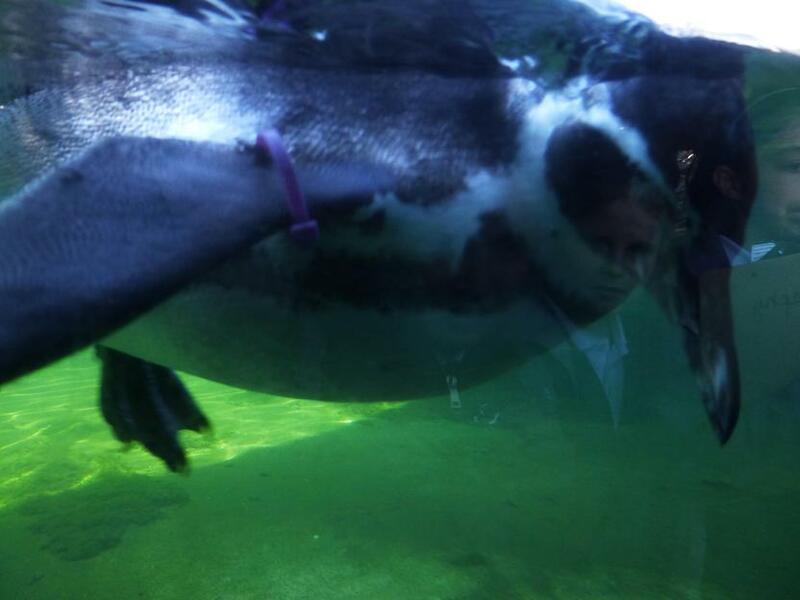 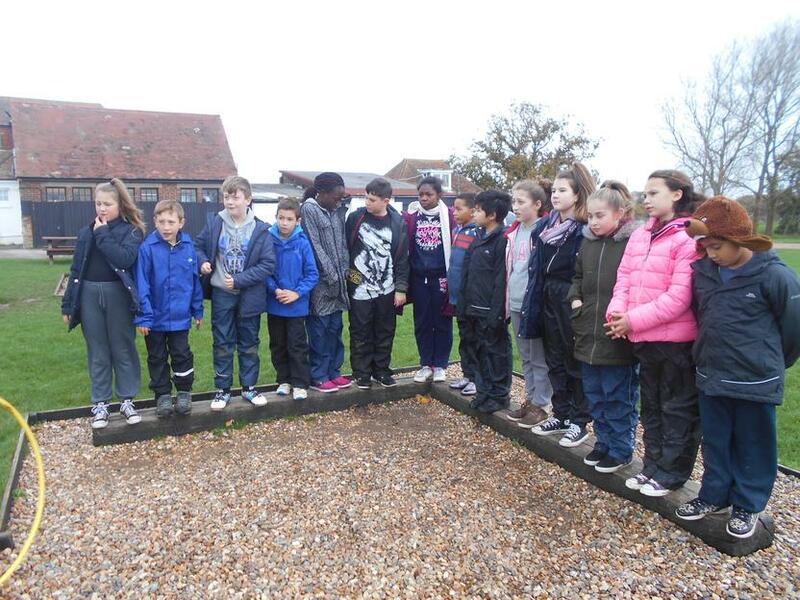 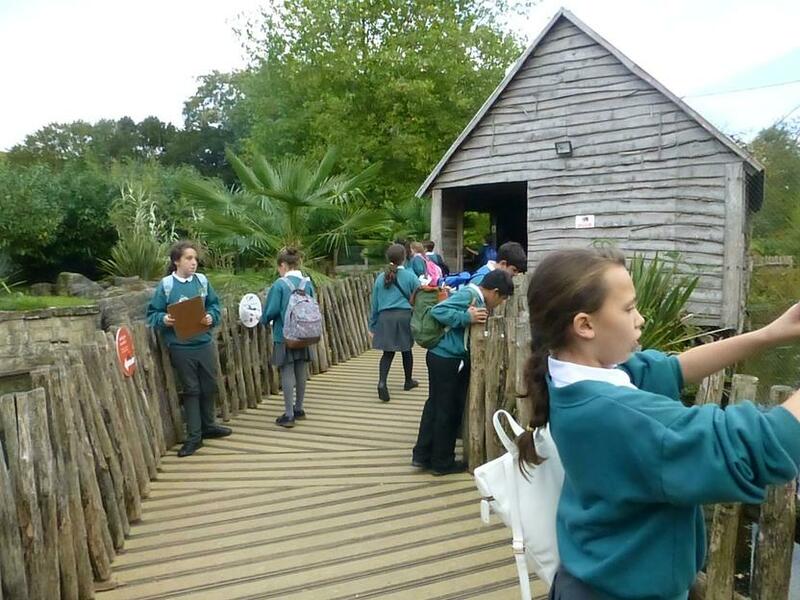 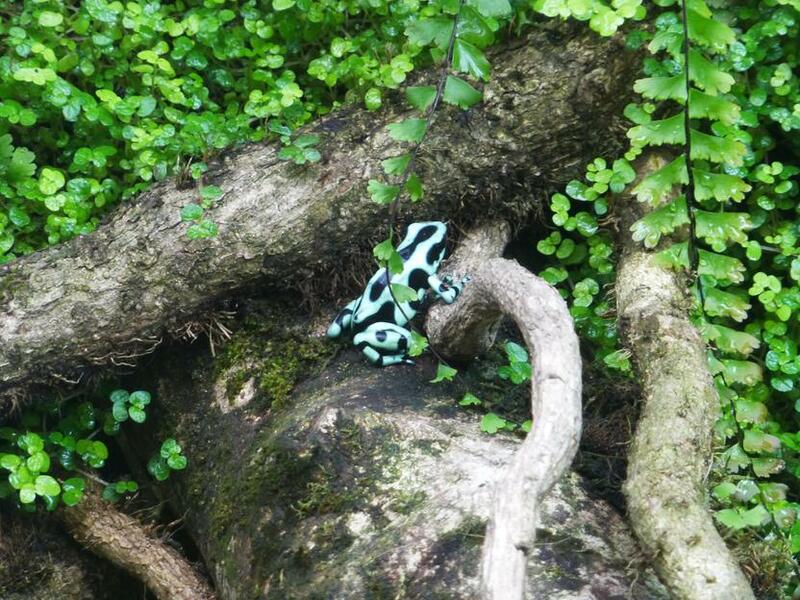 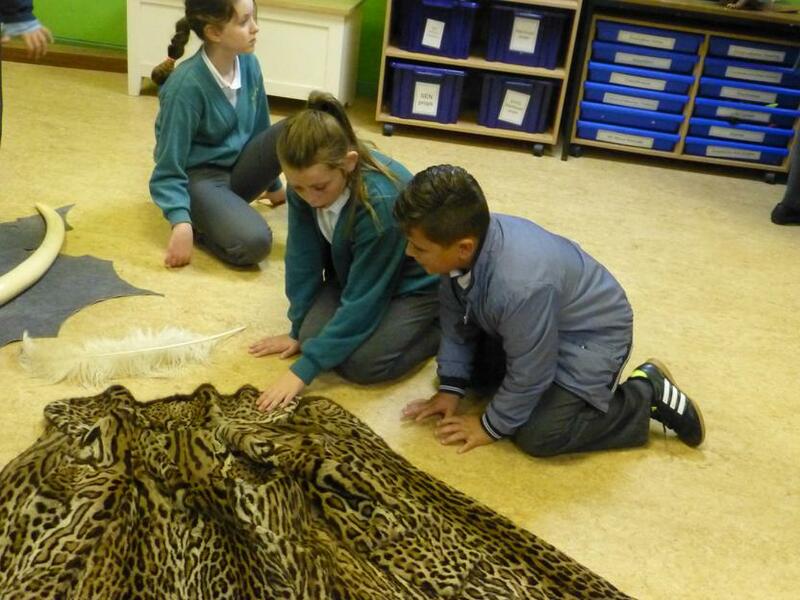 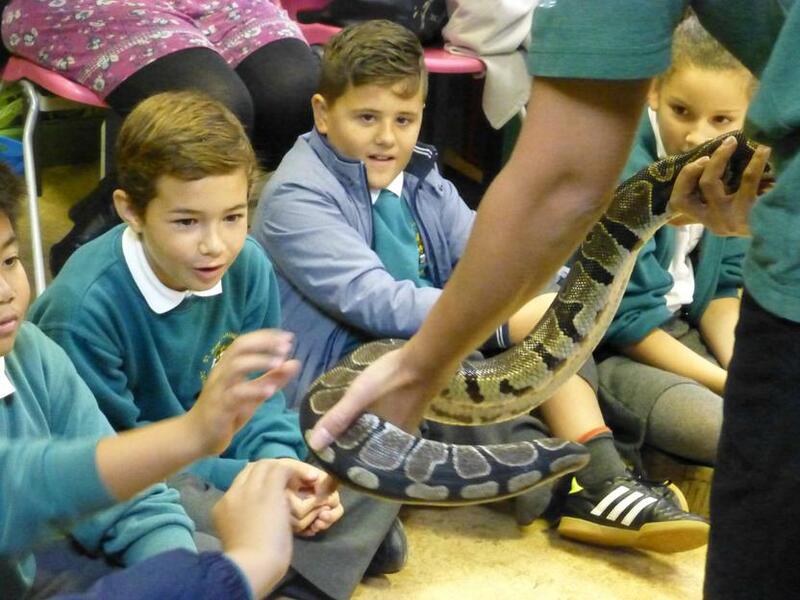 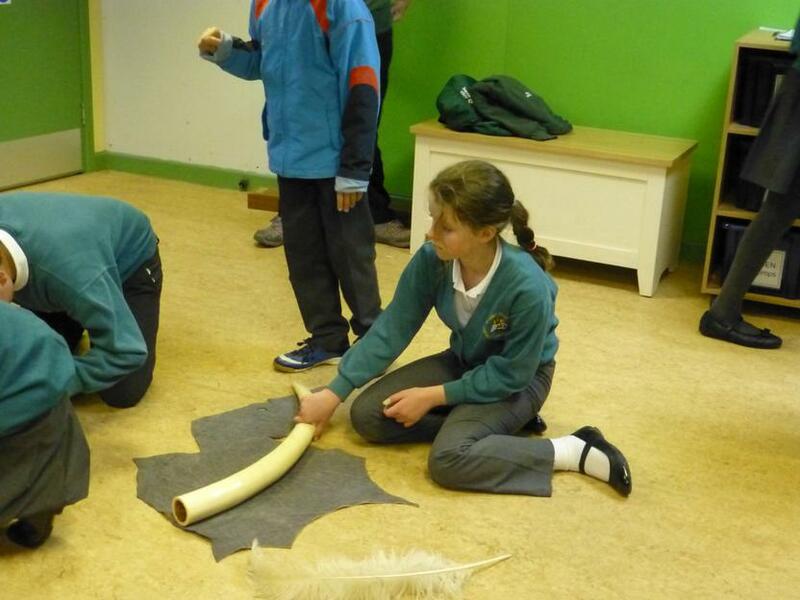 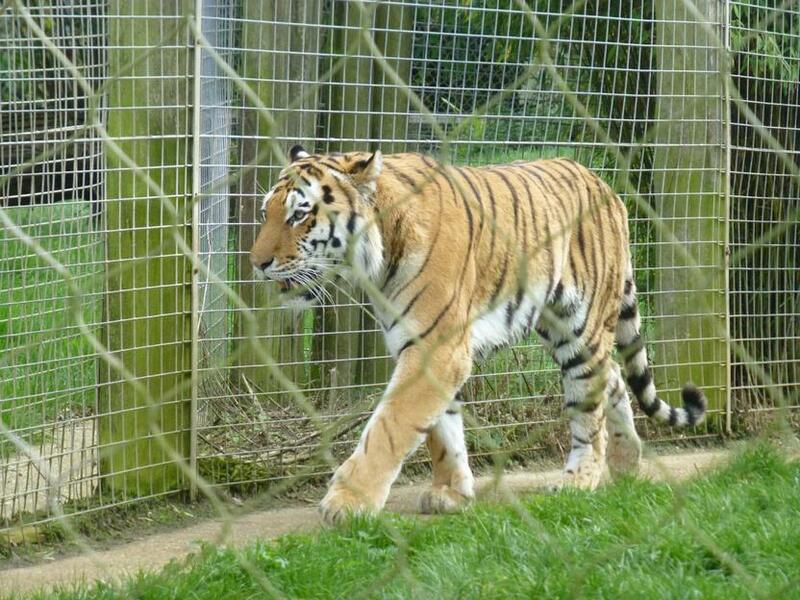 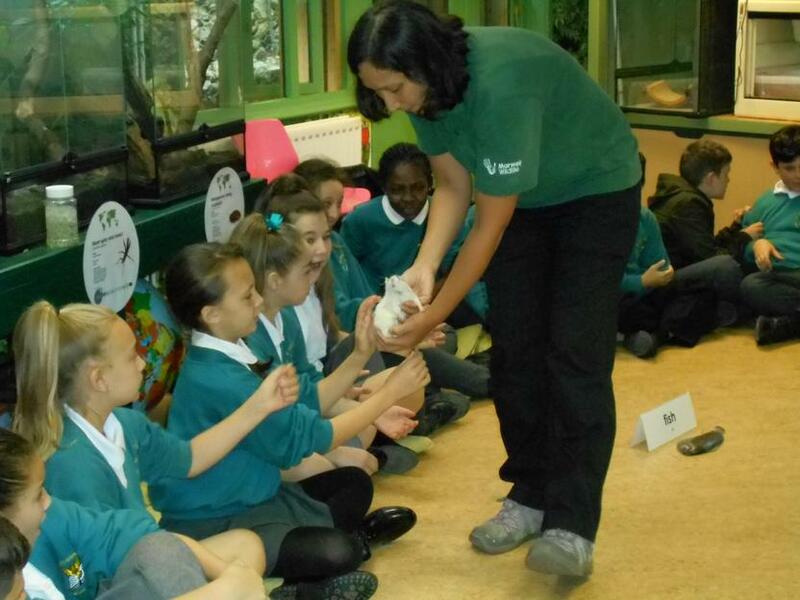 On Thursday 8th October Year 6 went on a trip to Marwell Zoo. 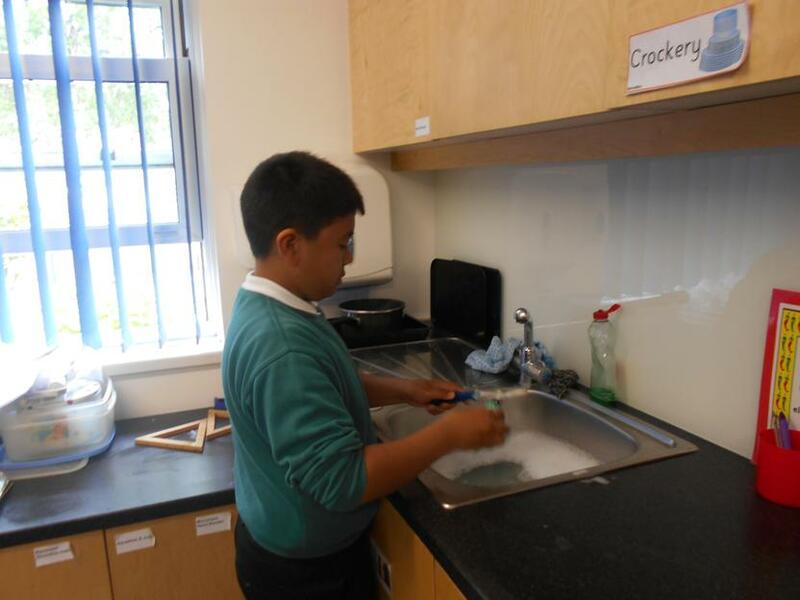 They have been investigating Classification Keys in science. 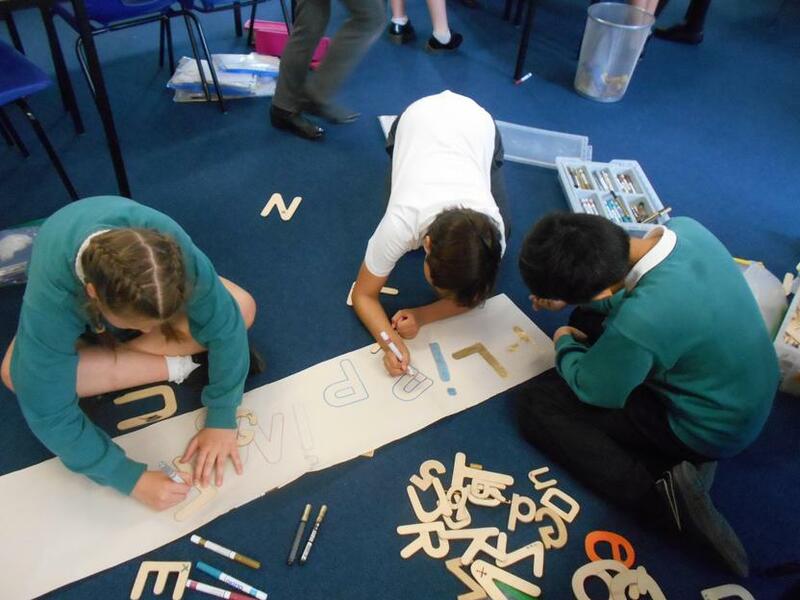 Classification Keys help to separate things into different groups; in class they used Mr Men; asking key questions to differentiate between them. 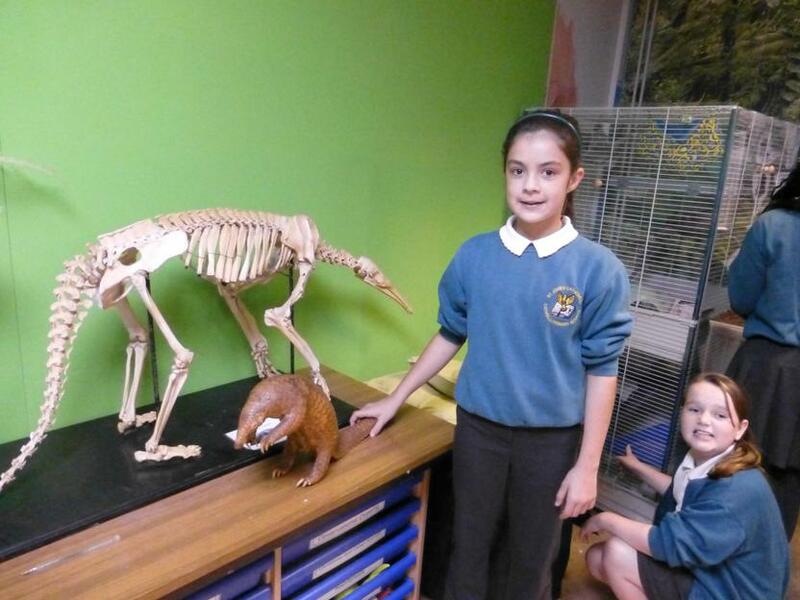 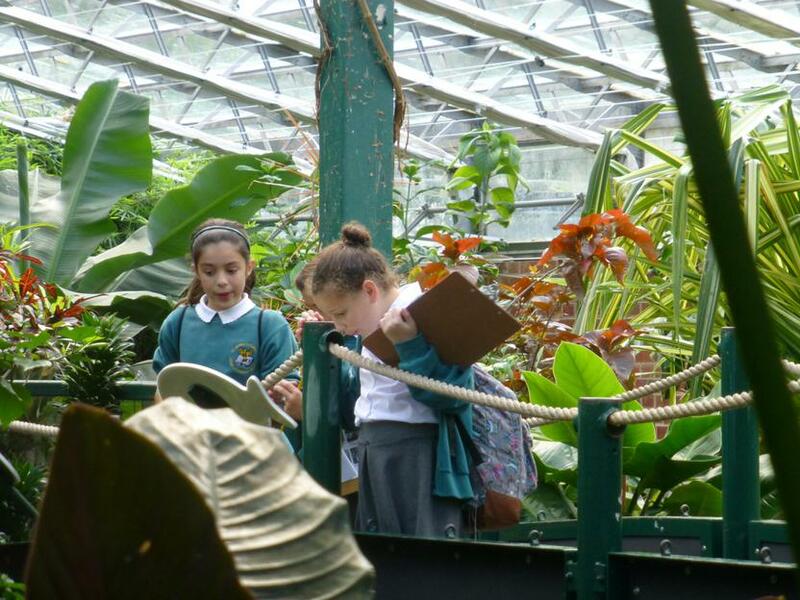 They had a lovely day exploring the animals of the rainforest and how animals have adapted to survive in different environments.